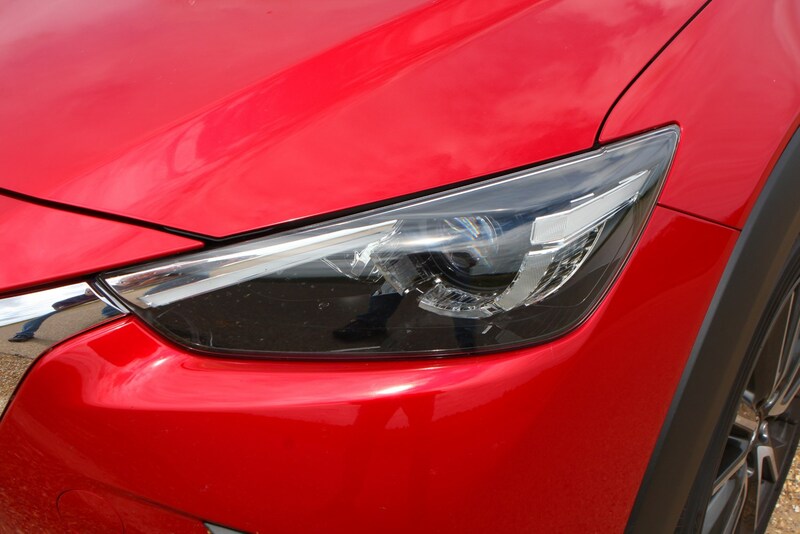 Insurance group: 13 - 18 How much is it to insure? 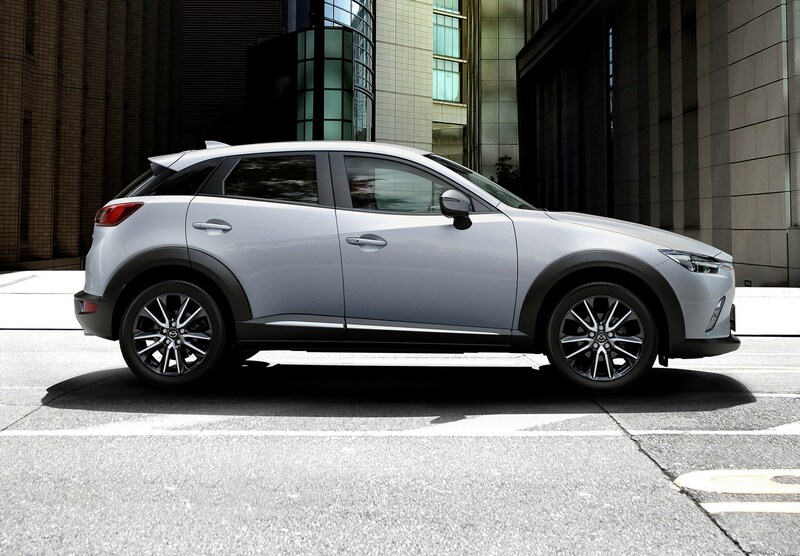 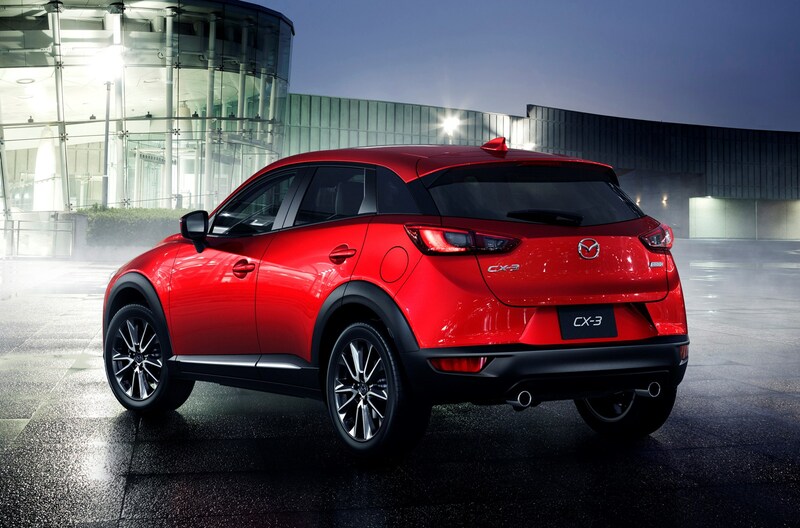 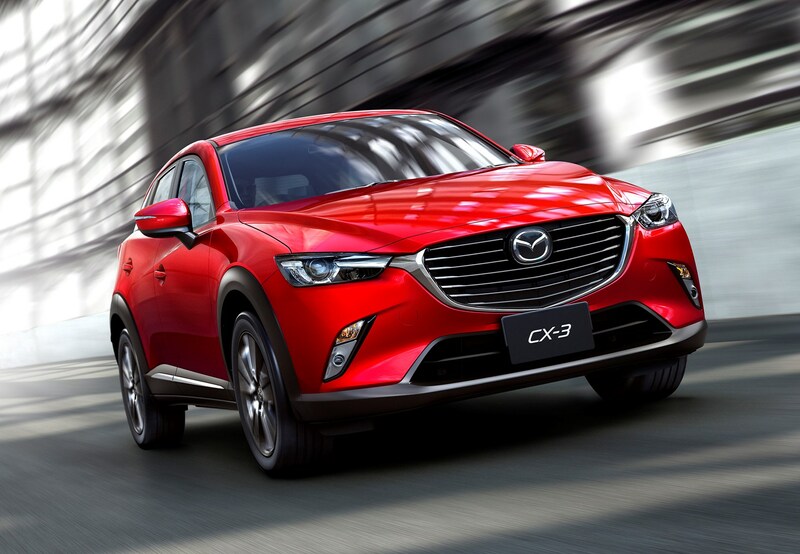 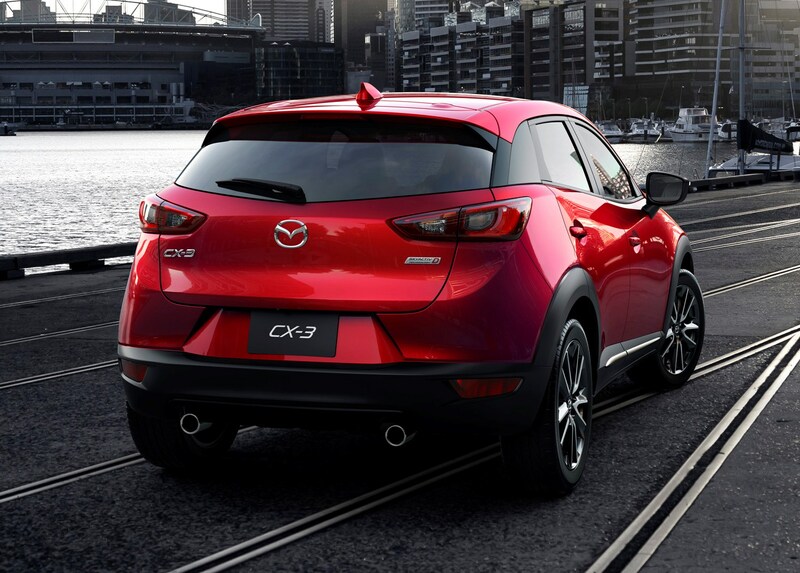 The Mazda CX-3 is the Japanese brand’s entry into what has quickly become one of the most popular niche segments of the market. 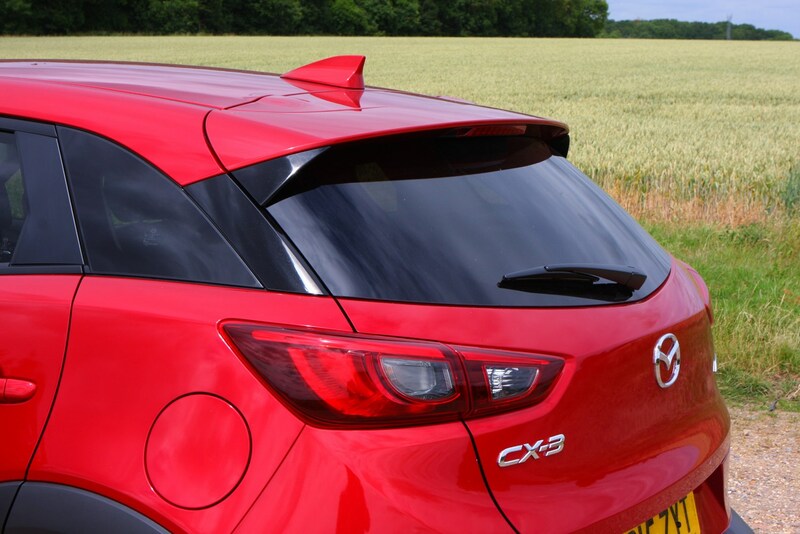 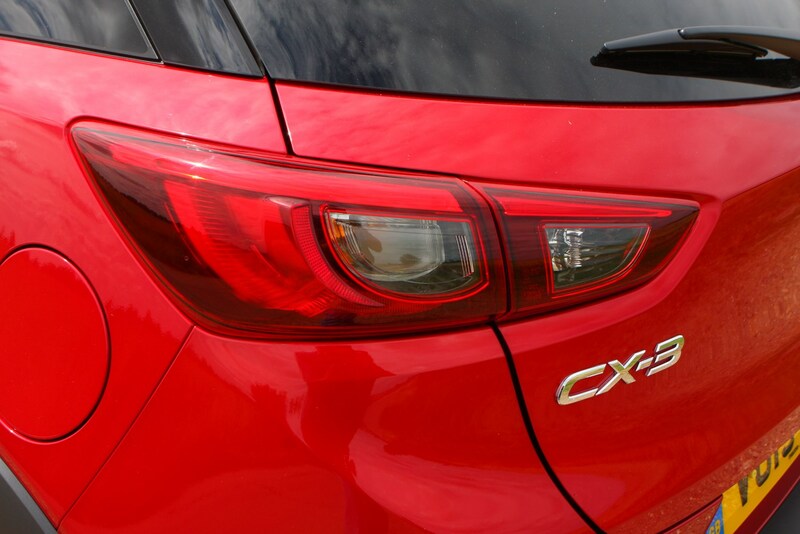 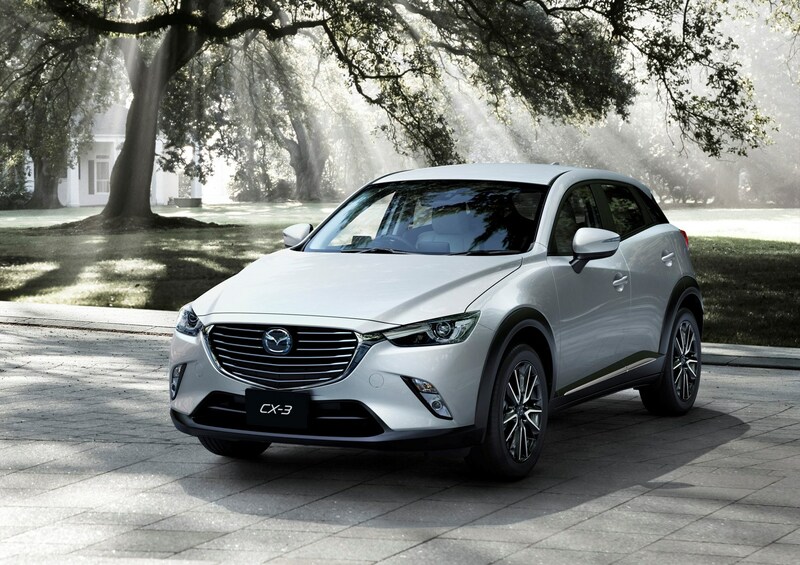 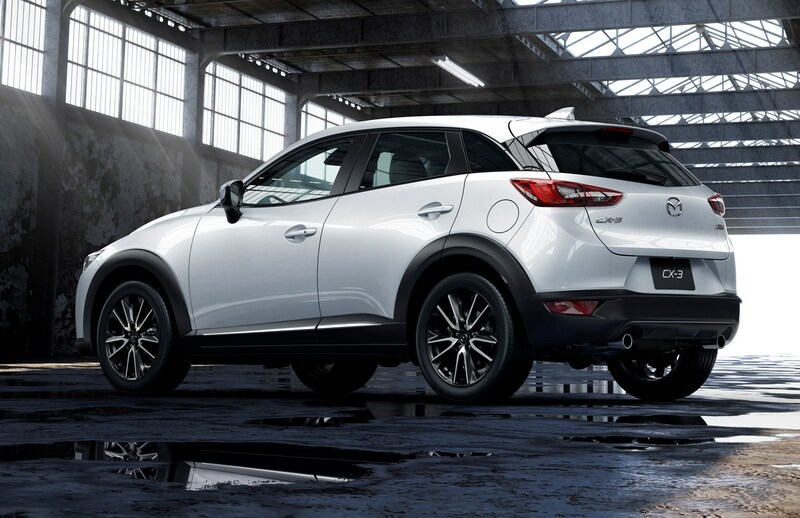 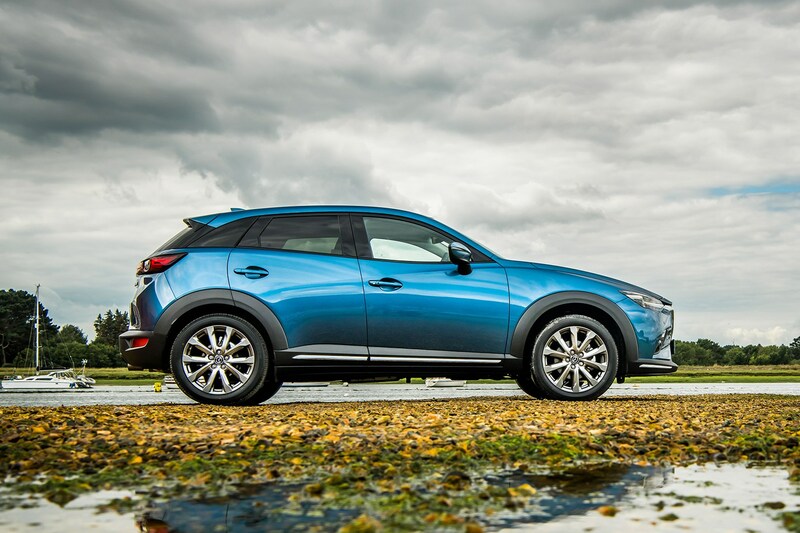 Its SUV-esque styling and raised driving position appeal to plenty of buyers, yet because the CX-3 is based on the same blueprints as a Mazda 2 supermini, there’s none of the drawbacks – high running costs, difficult to park – you’d traditionally get with a more unwieldly SUV. 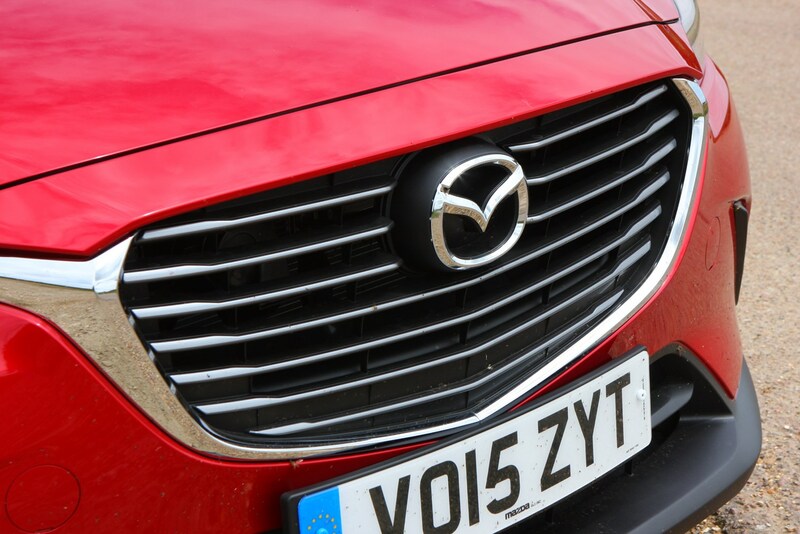 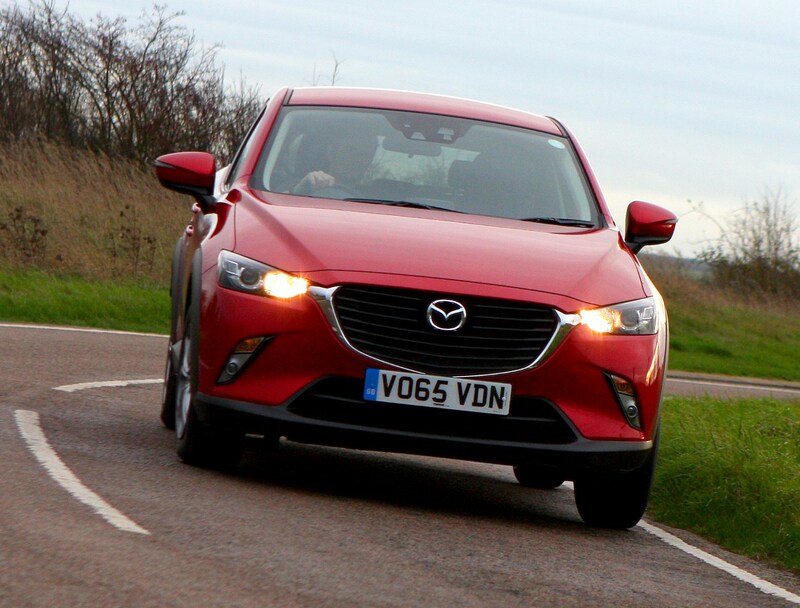 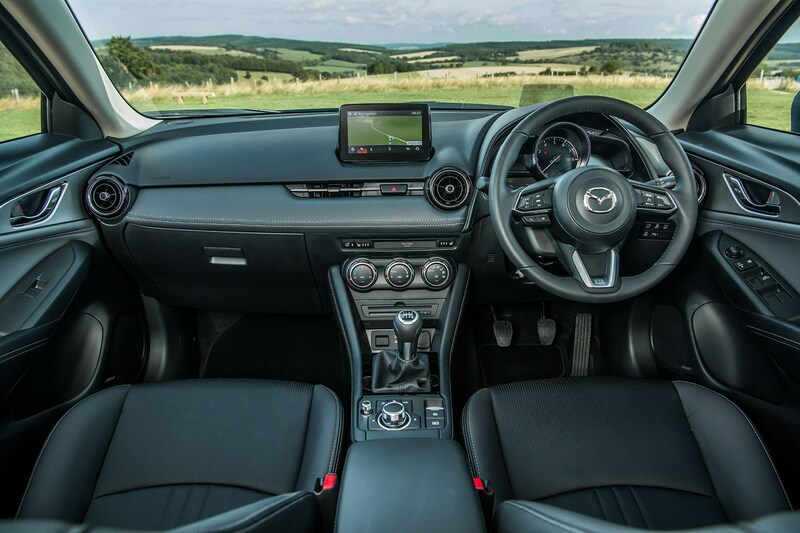 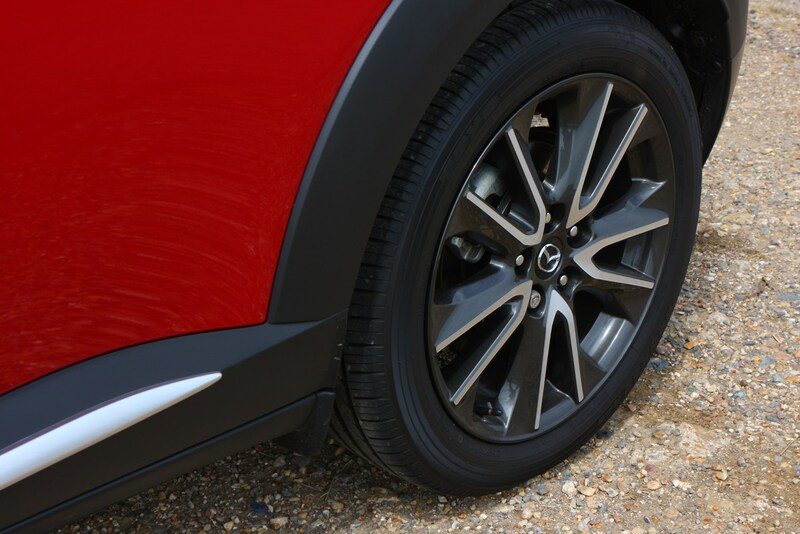 The Mazda appeals with smart exterior styling and an equally upmarket look to the interior and one of the best driving experiences of the lot. 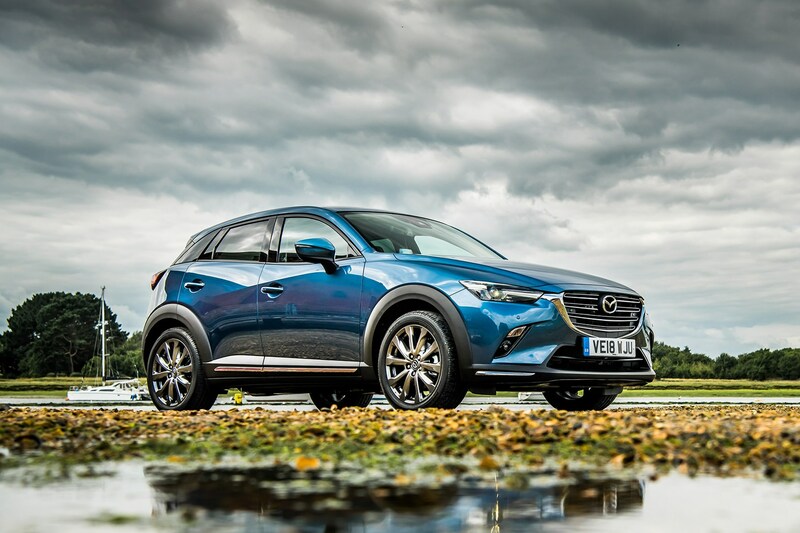 There’s also a generous list of standard equipment across the CX-3 range, while there’s a simple engine line-up, but with the option of all-wheel drive and automatic models that you won’t find with some of the competition. 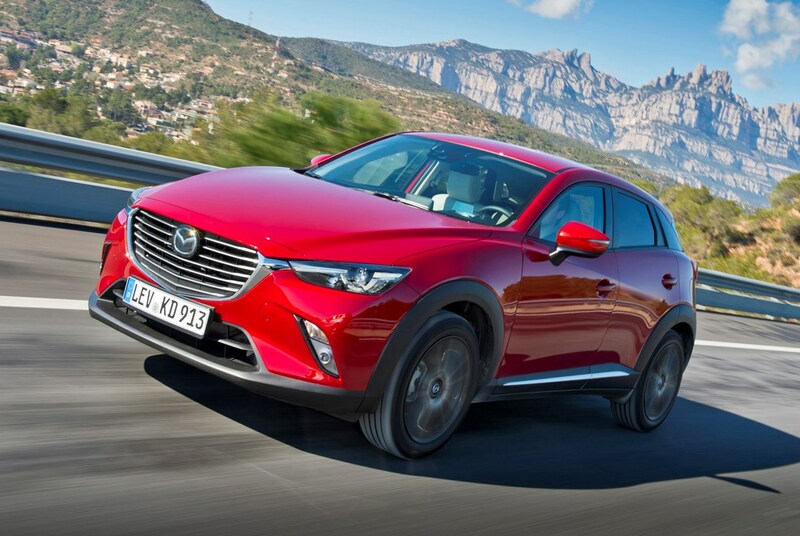 Mazda has continued its SkyActiv programme of lightness and efficiency with the CX-3 and, for petrol engines at least, has shied away from turbocharged downsizing, instead believing larger, naturally-aspirated motors are the way to go. 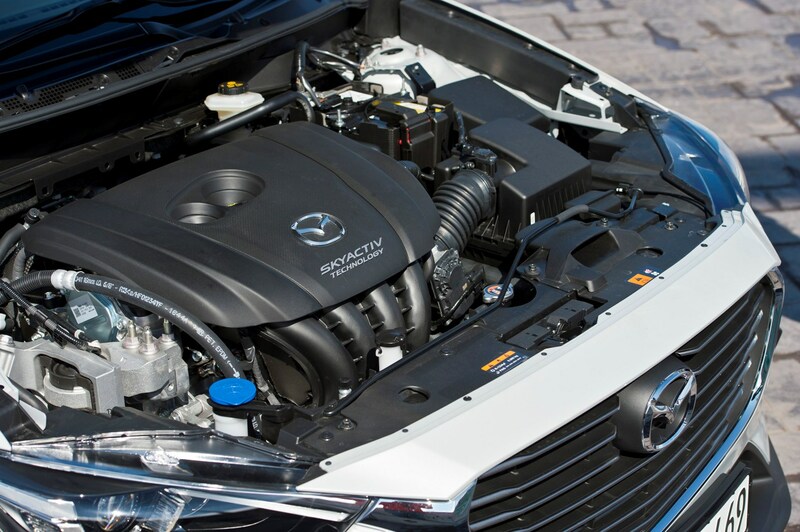 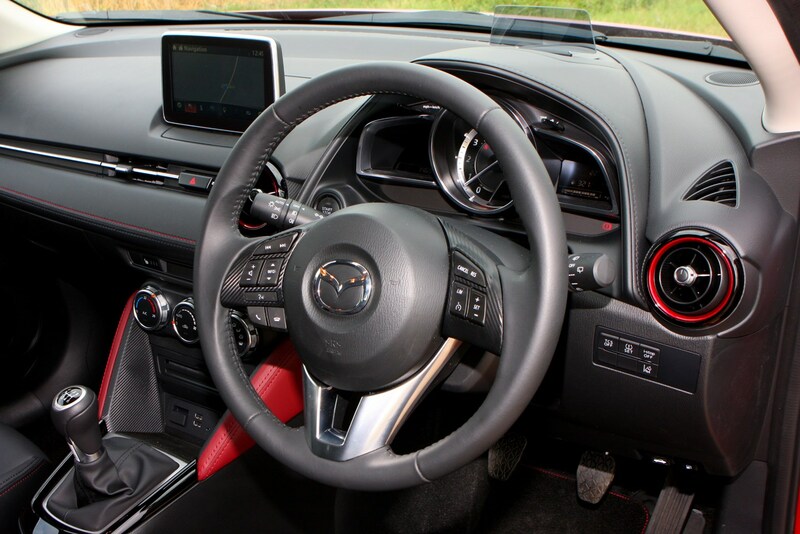 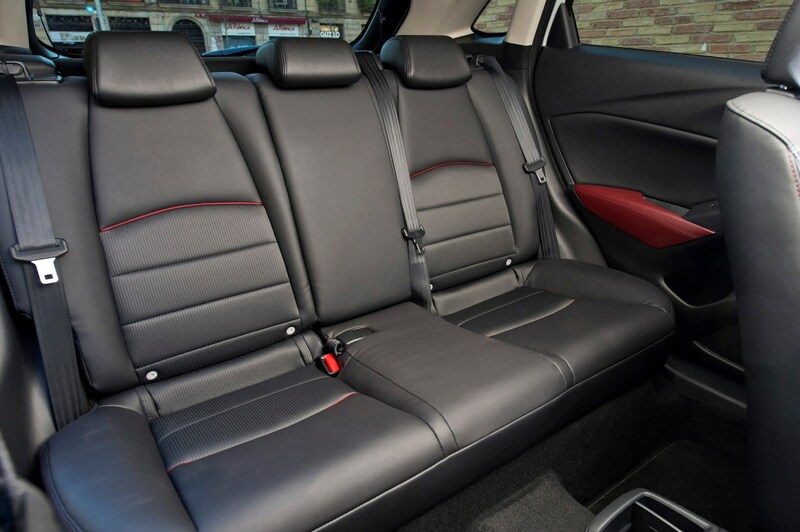 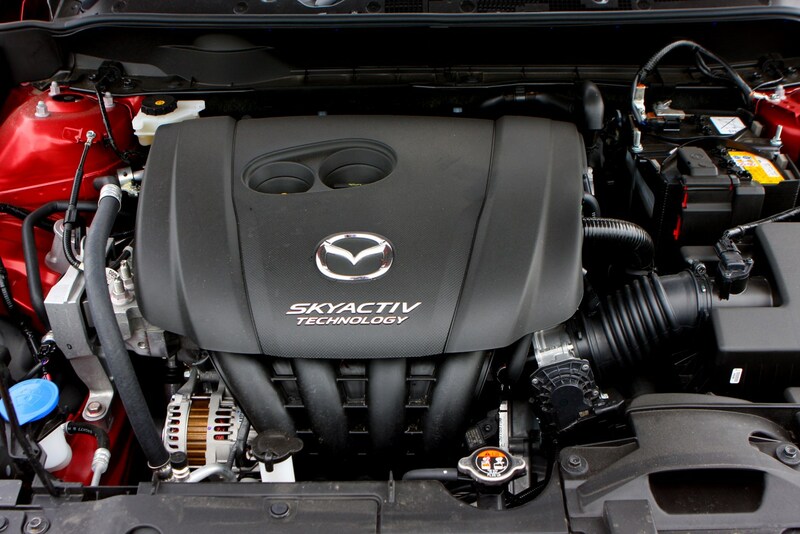 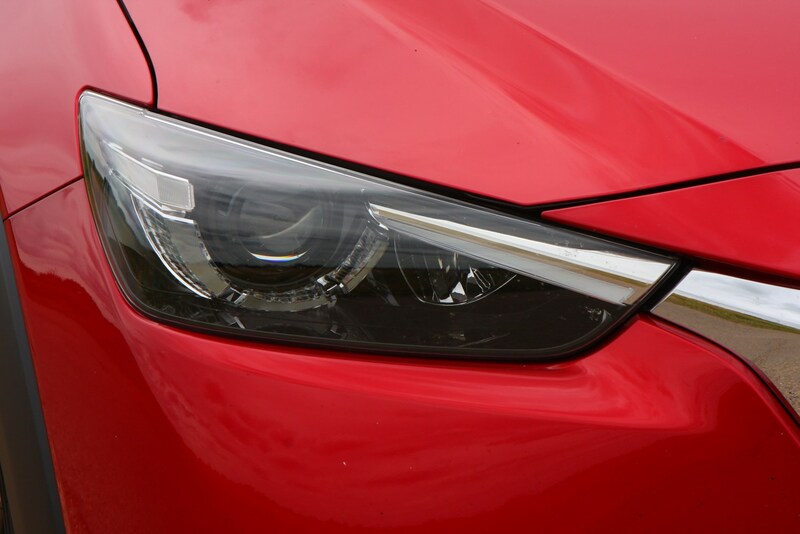 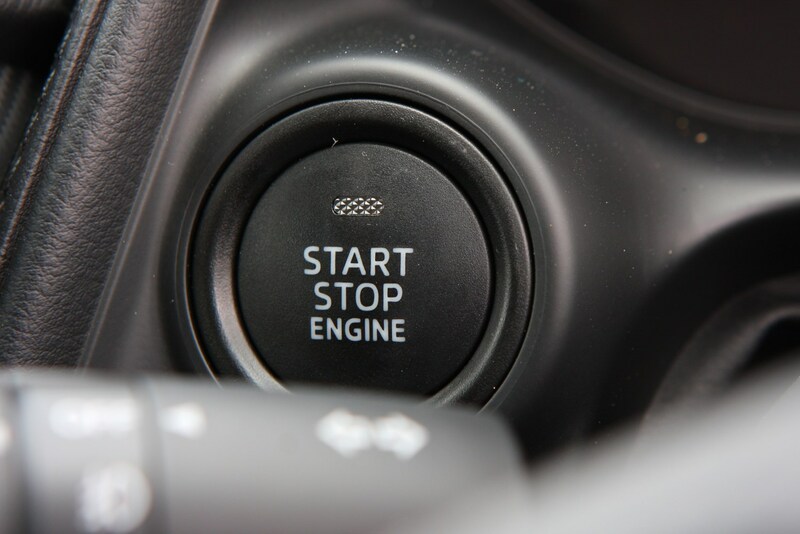 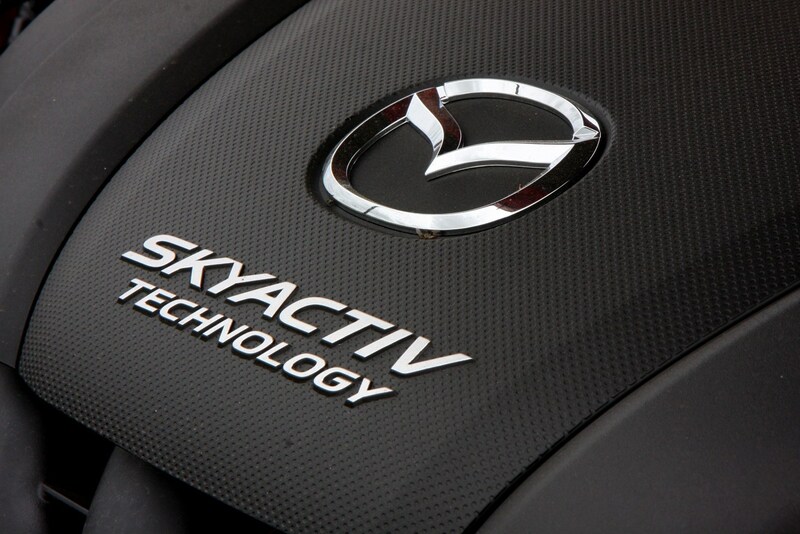 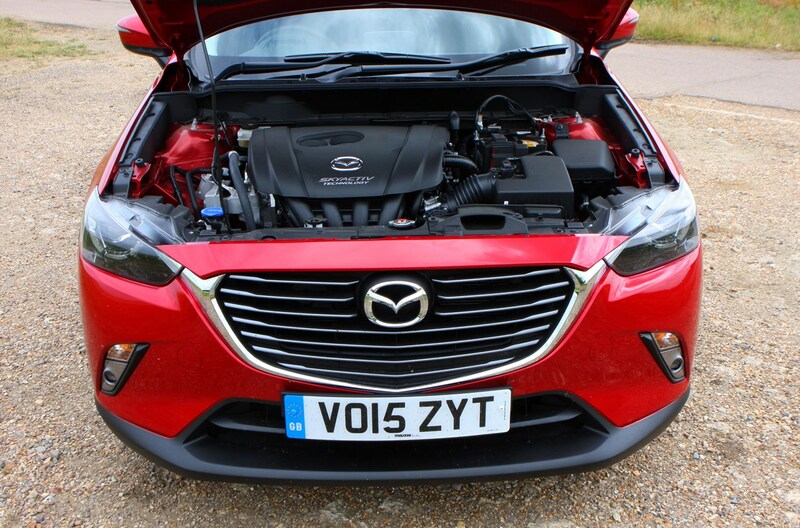 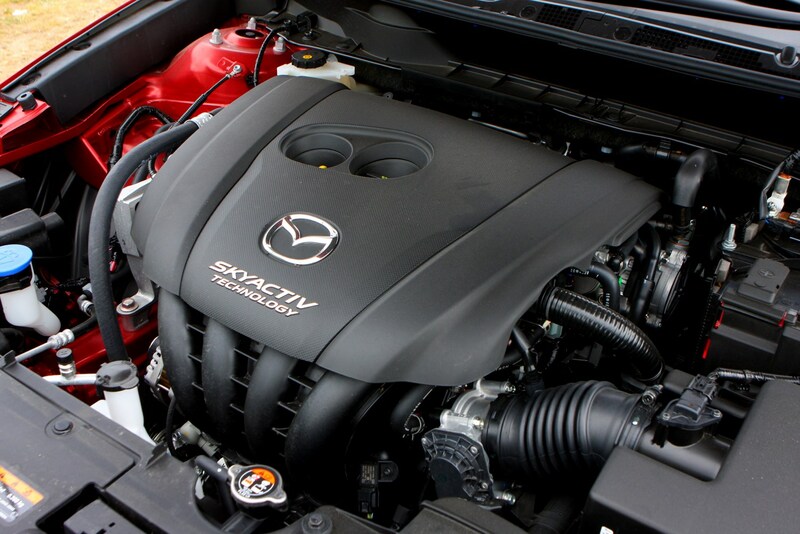 With 121hp, the entry-level 2.0-litre SkyActiv-G petrol unit is fitted with a six-speed manual gearbox as standard, with a six-speed automatic optionally available, sending power to the front wheels. 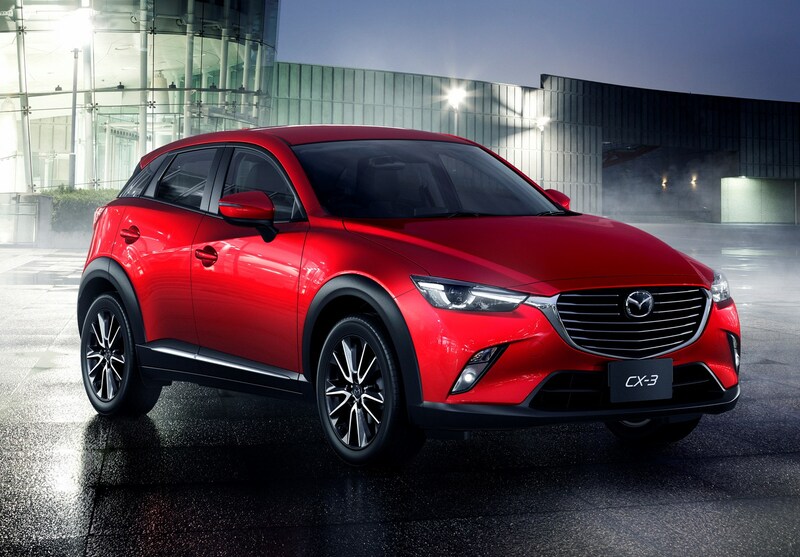 Choose the CX-3 in Sport Nav trim and you can also order it with four-wheel drive and a more powerful version of the 2.0-litre petrol motor. 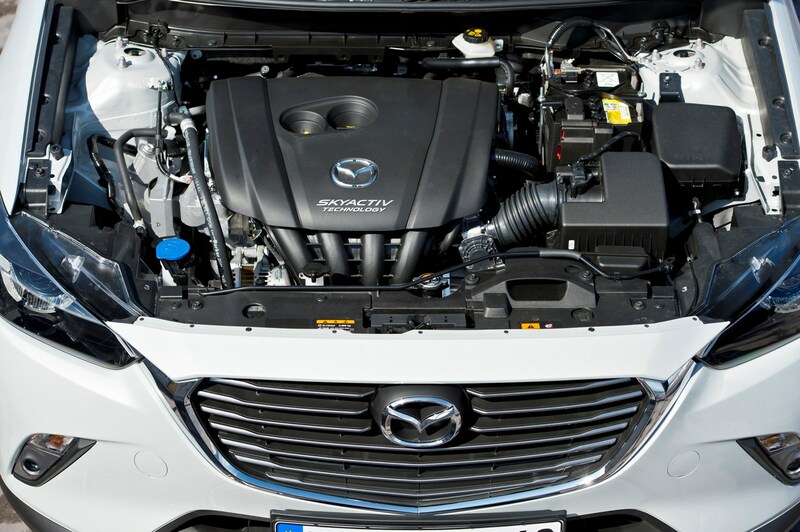 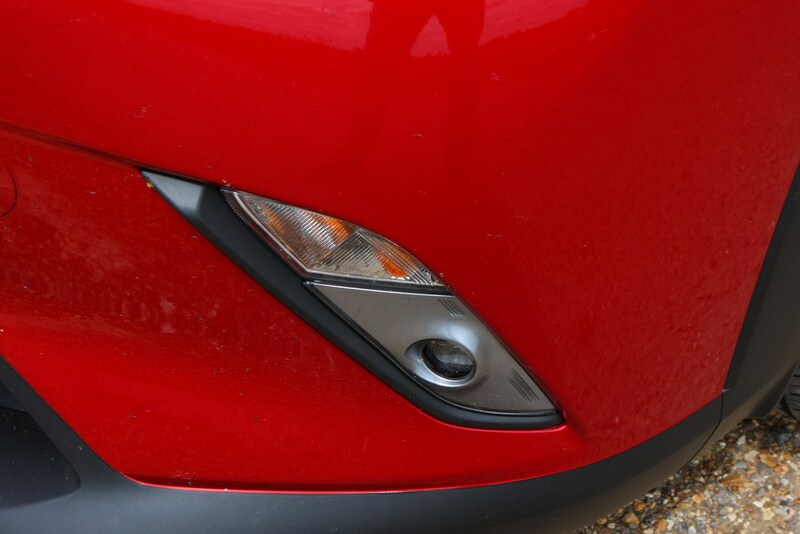 Power jumps to 150hp, but efficiency figures for the manual-only edition are slightly worse. 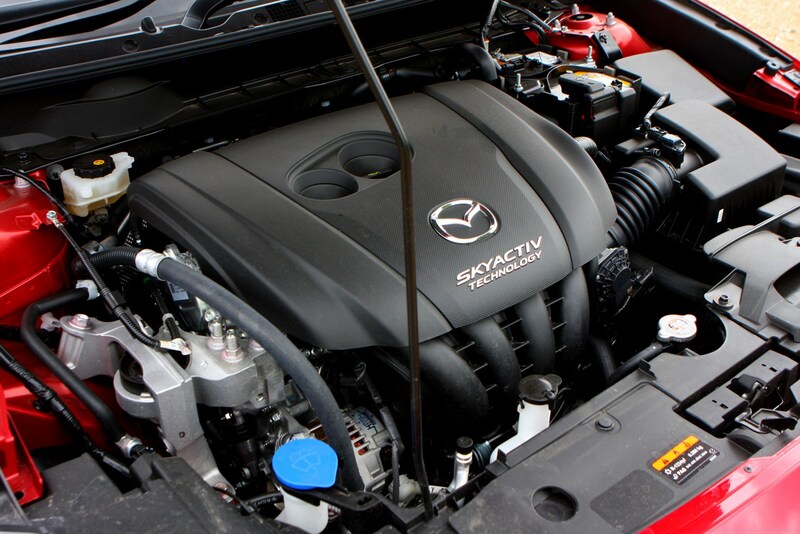 Cheaper running costs come courtesy of the 1.8-litre SkyActiv-D turbocharged diesel, producing 115hp, although at 270Nm, peak torque is higher than the petrol offerings. 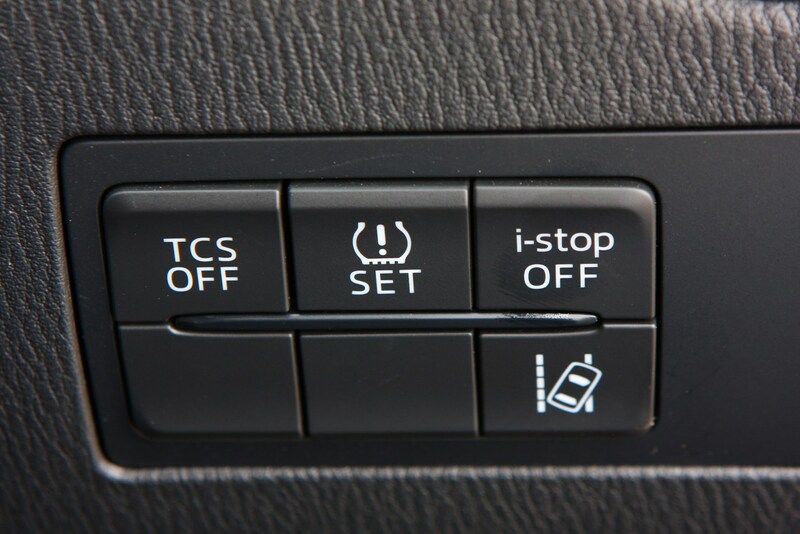 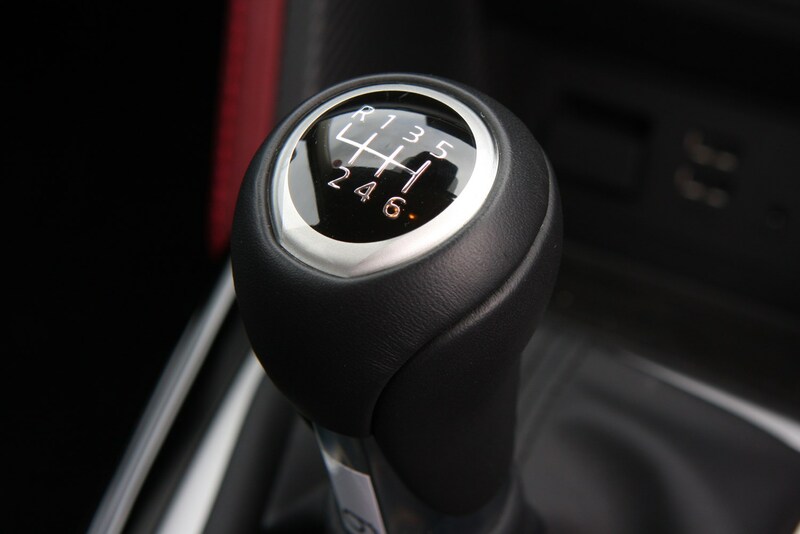 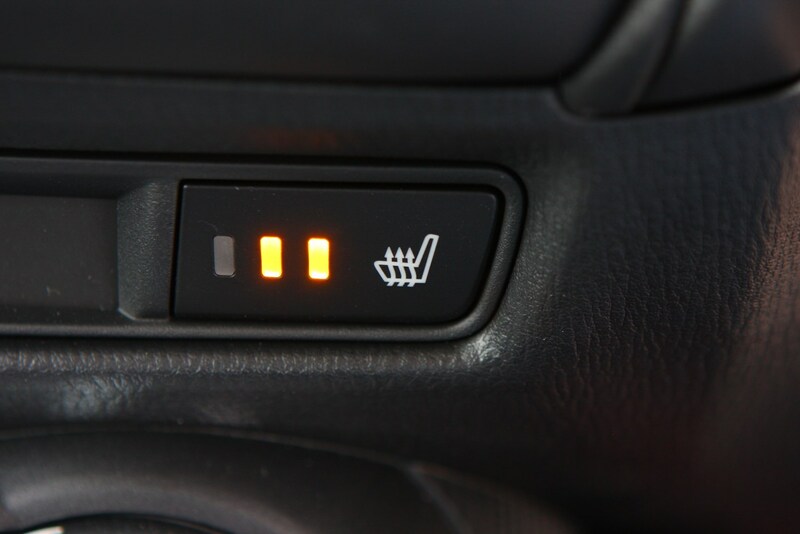 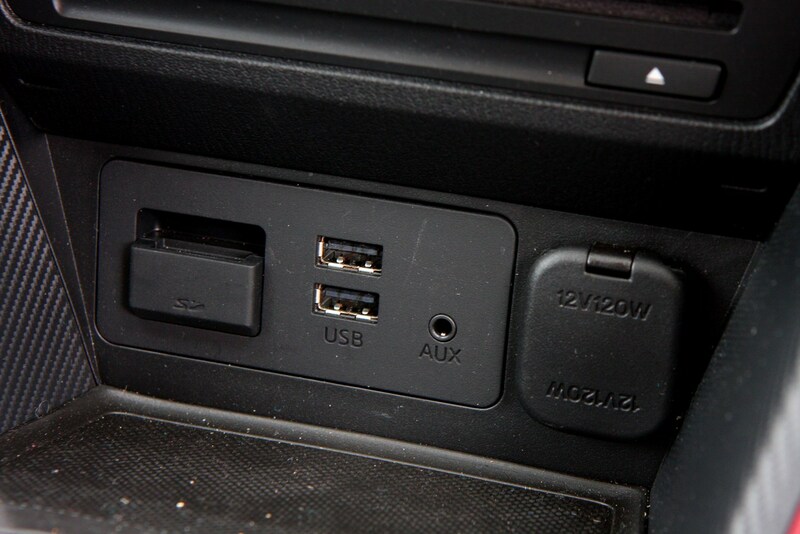 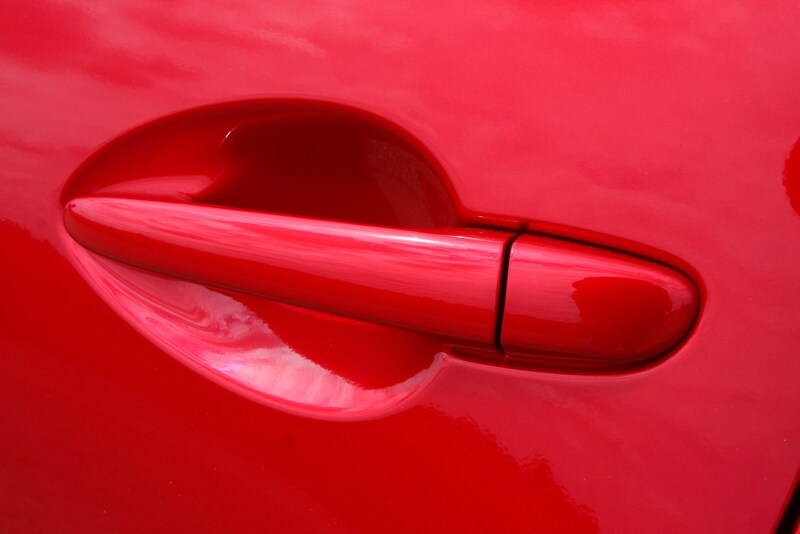 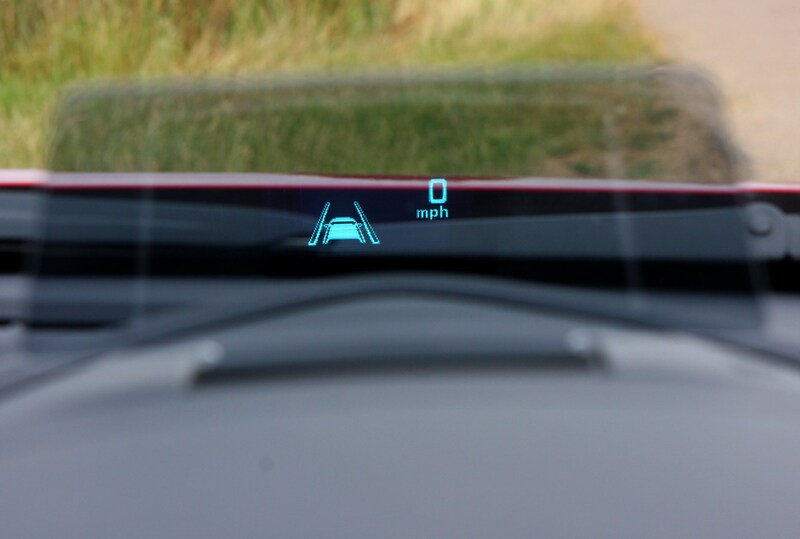 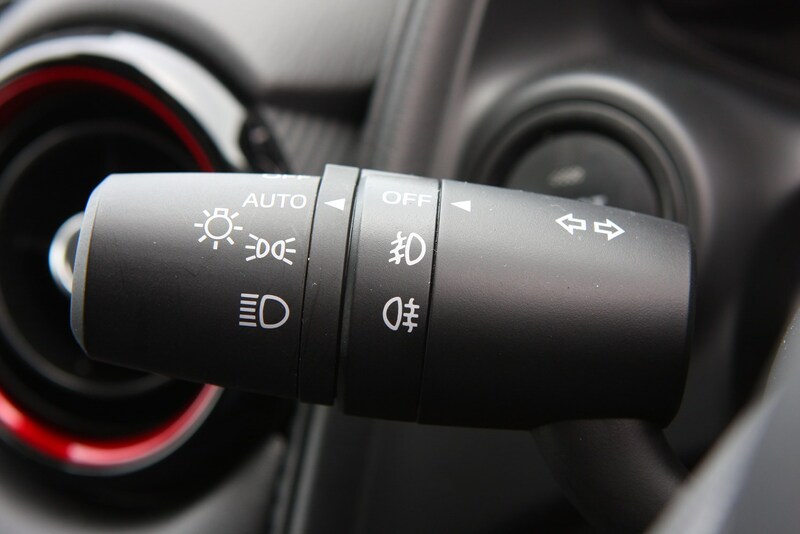 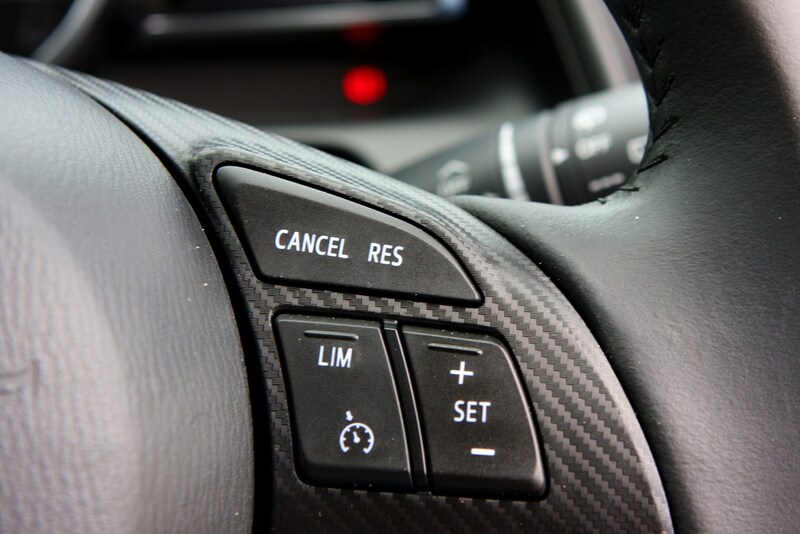 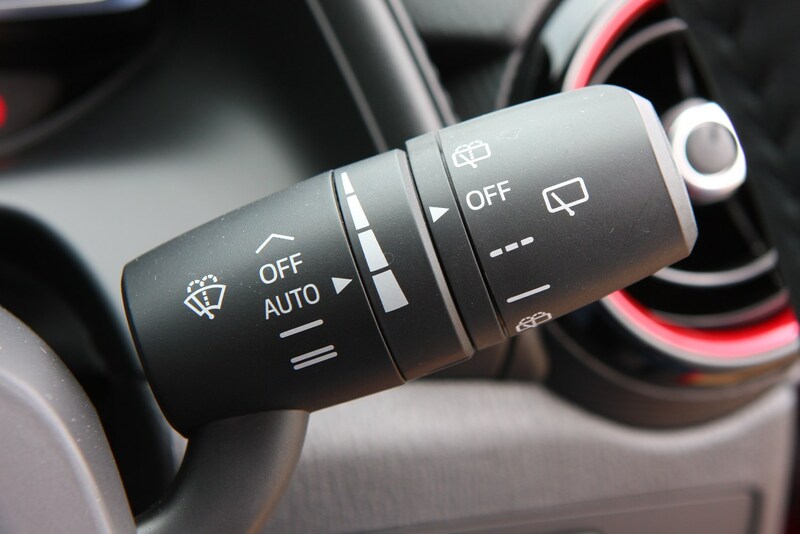 Manual versions serve up lower CO2 emissions and higher fuel economy than the petrols. 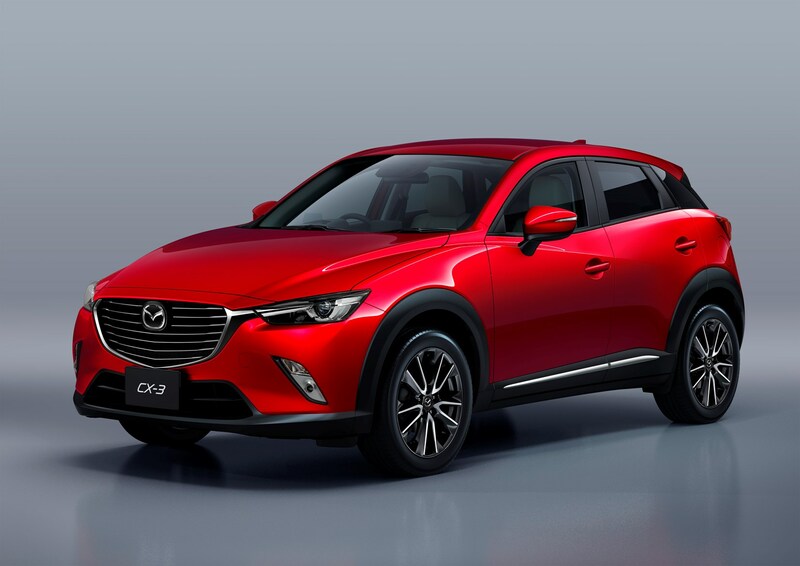 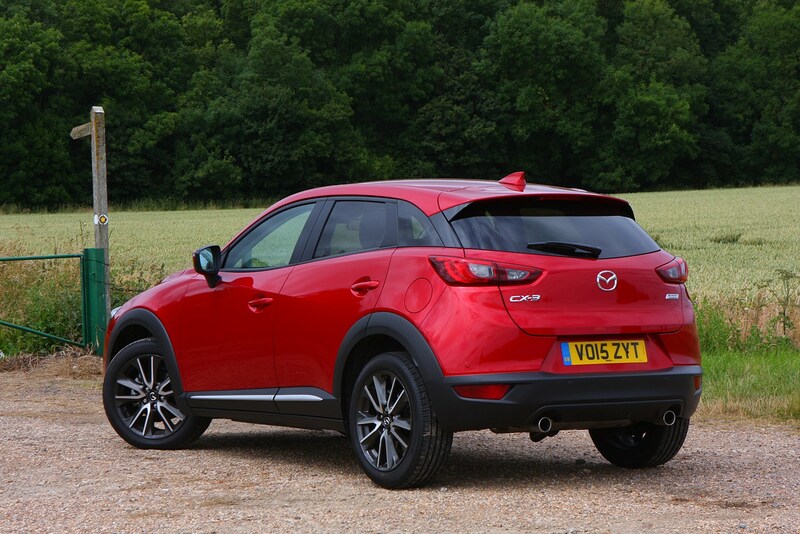 This new diesel engine replaced the old 1.5-litre SkyActiv-D unit in 2018 when the CX-3 received a mild range update. 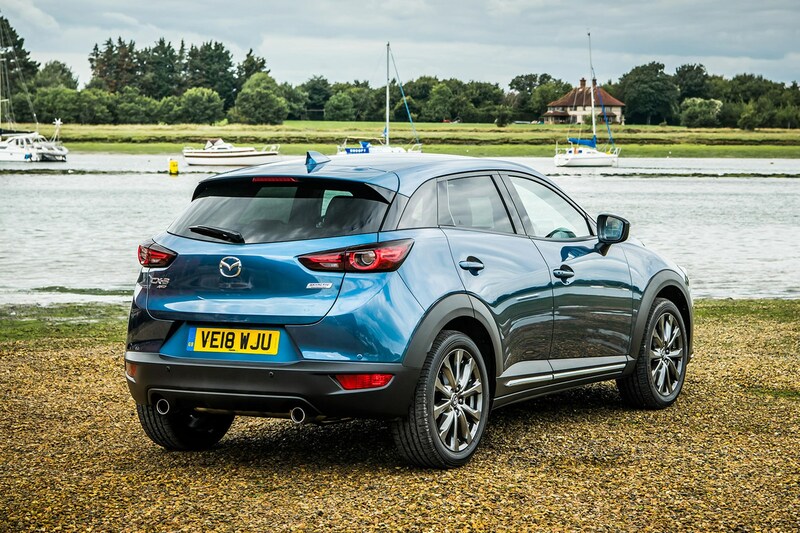 The familiar Mazda trim hierarchy of SE Nav, SE-L Nav and Sport Nav were employed across the CX-3 range - plus a top-level GT Sport - but this changed slightly in September 2018. 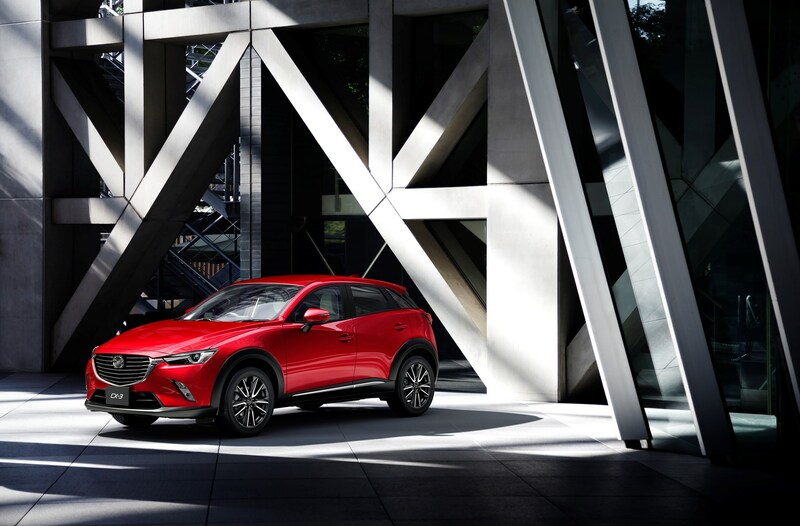 Along with a mild facelift and engine changes, Mazda tweaked the trim level names to SE Nav+, SE-L Nav+, Sport Nav+, and introduced a limited-run Sport Black+. 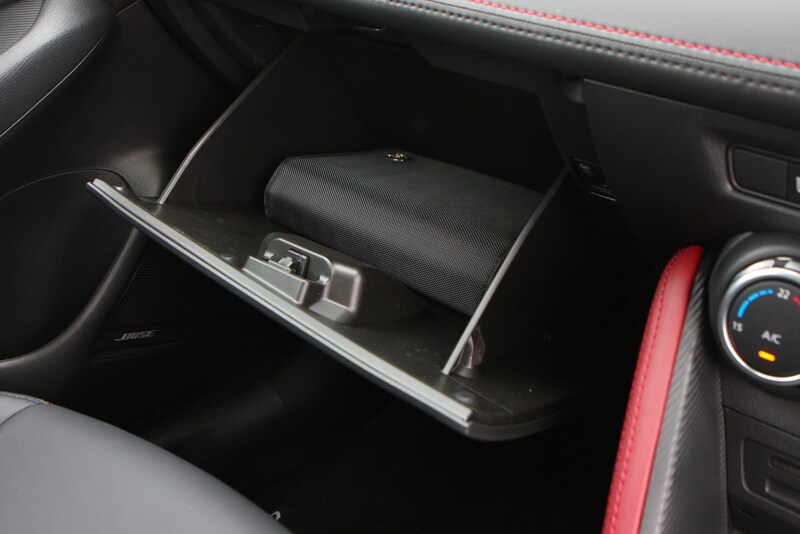 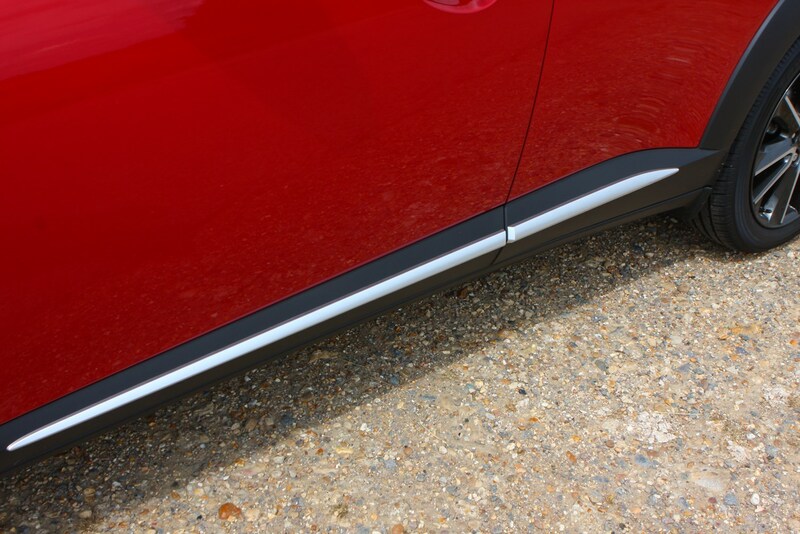 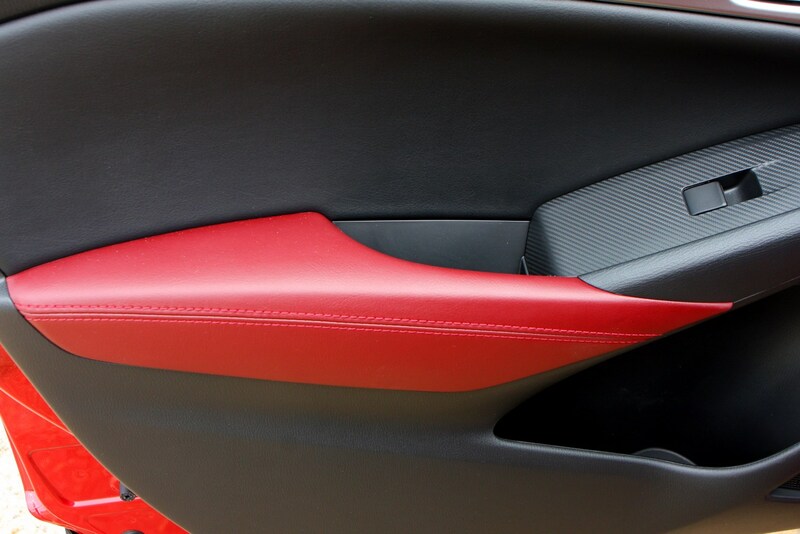 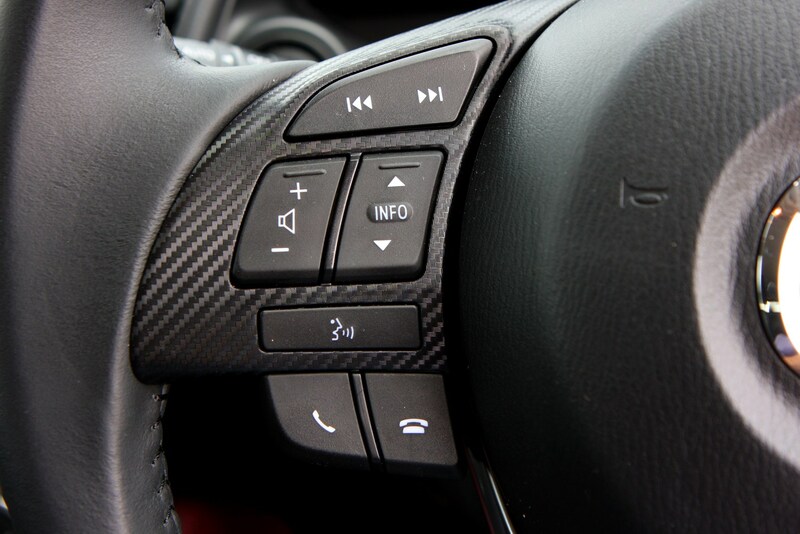 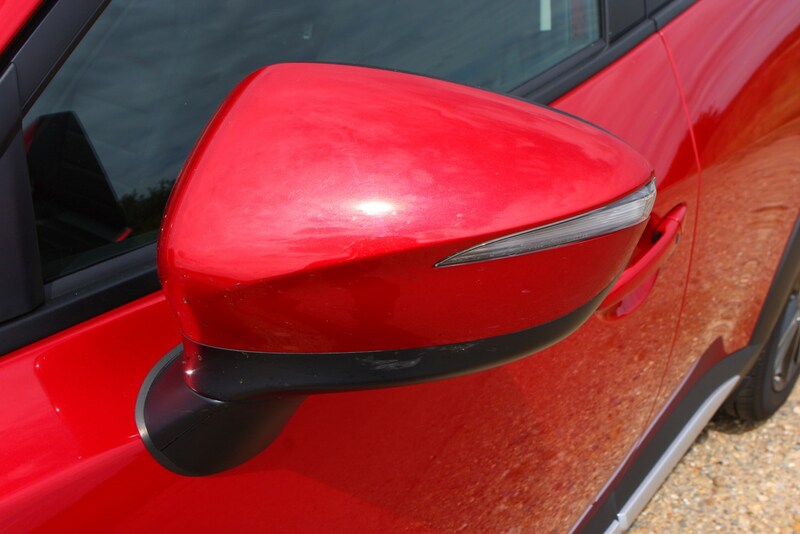 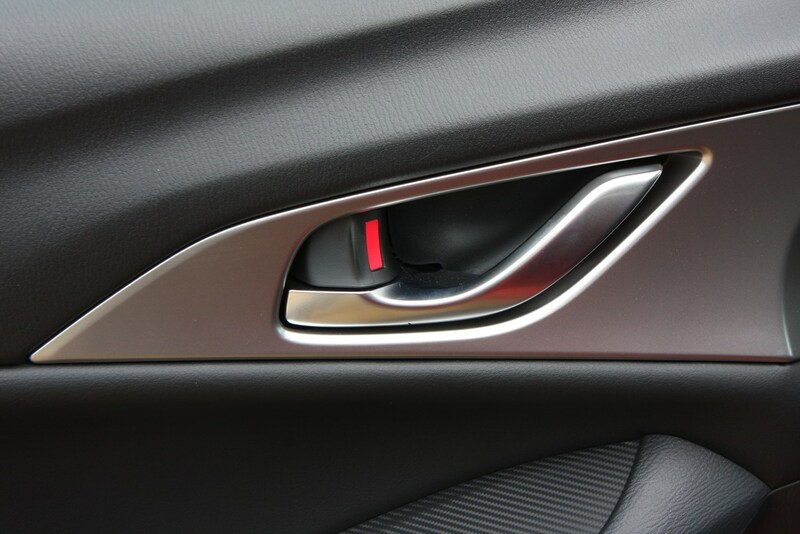 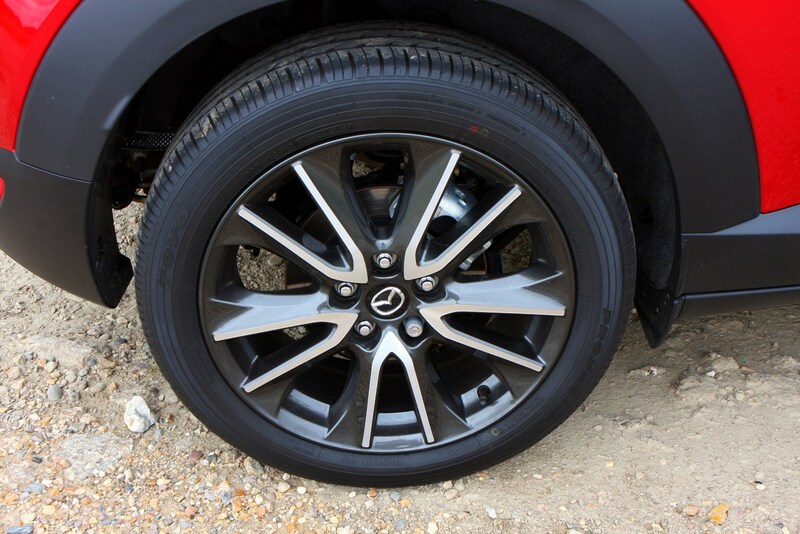 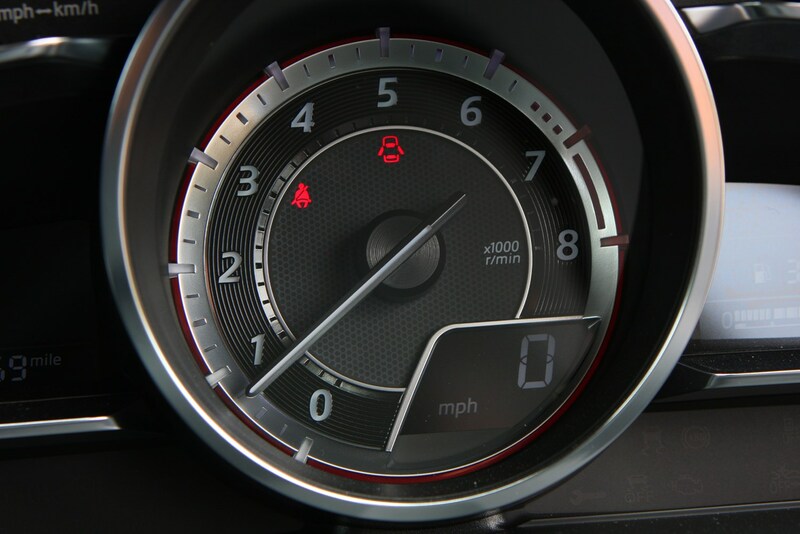 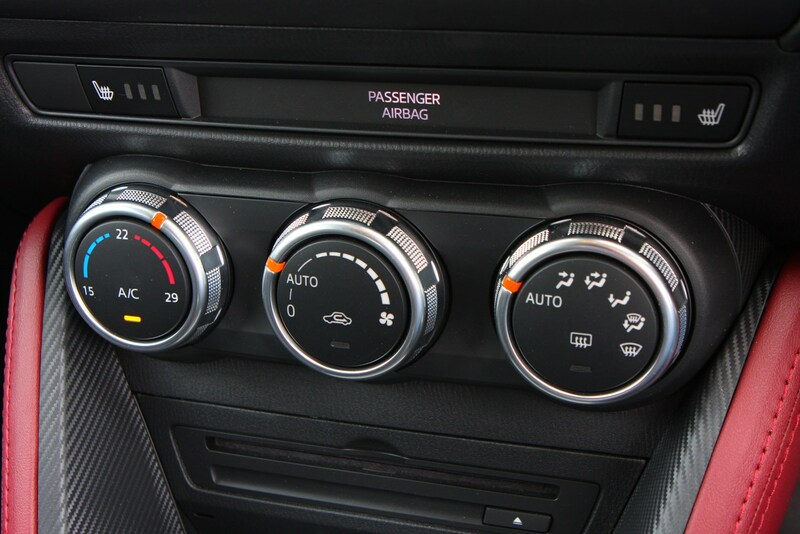 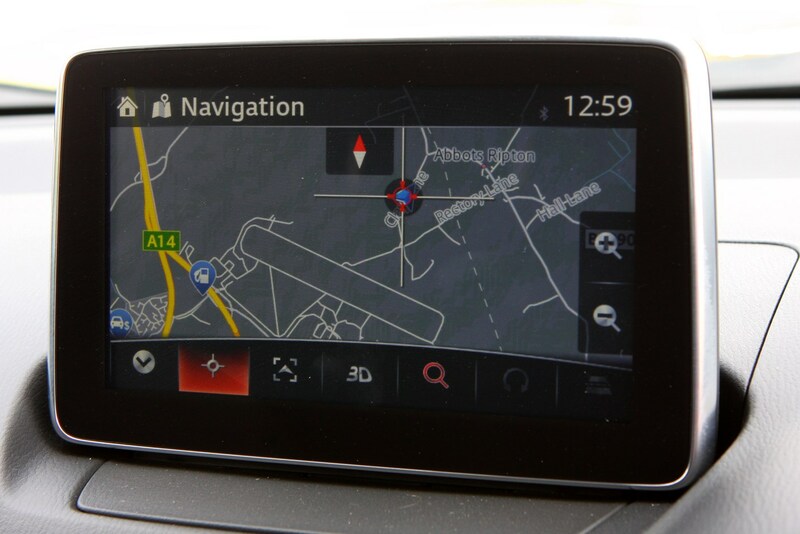 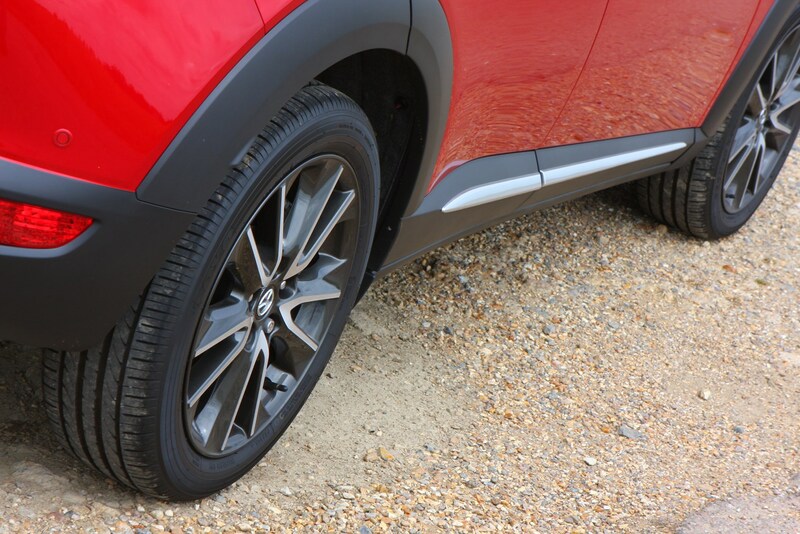 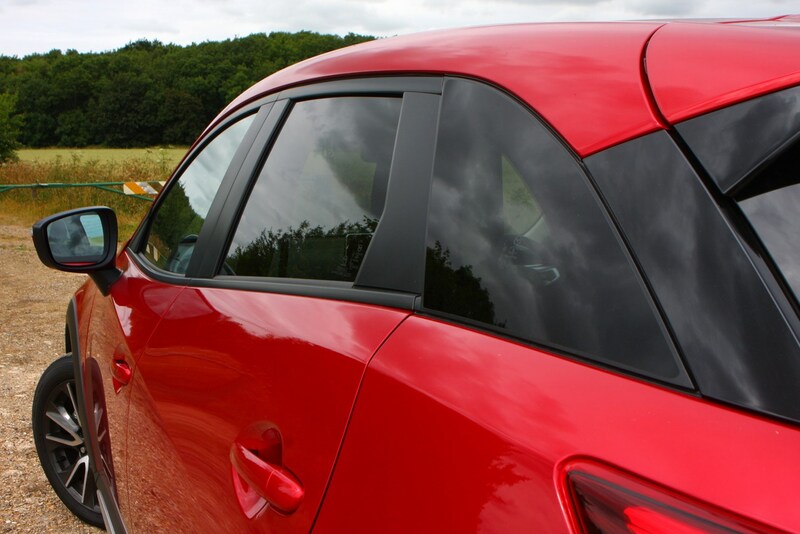 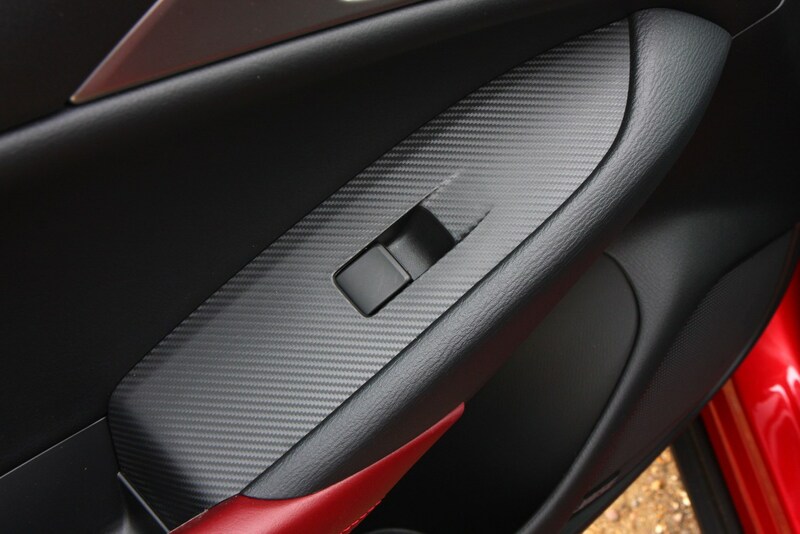 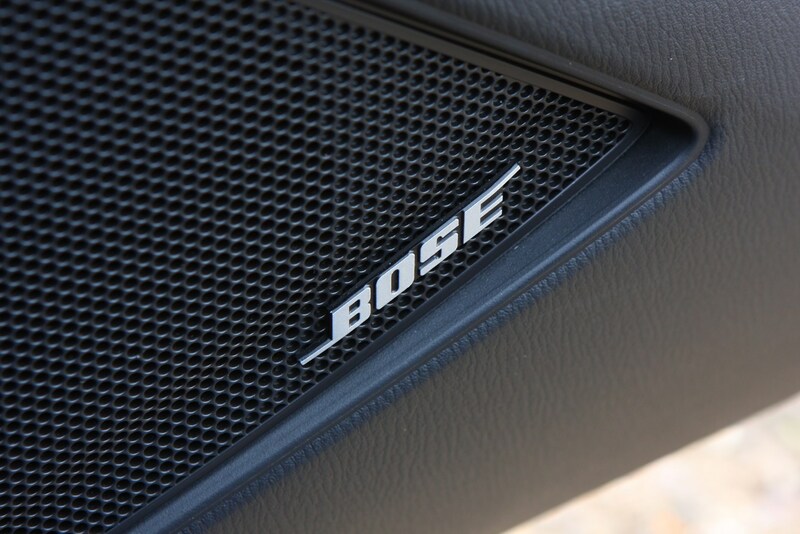 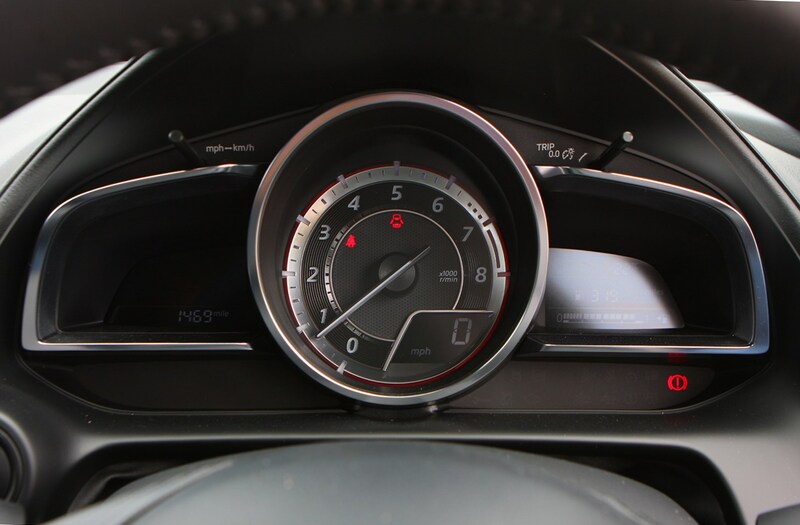 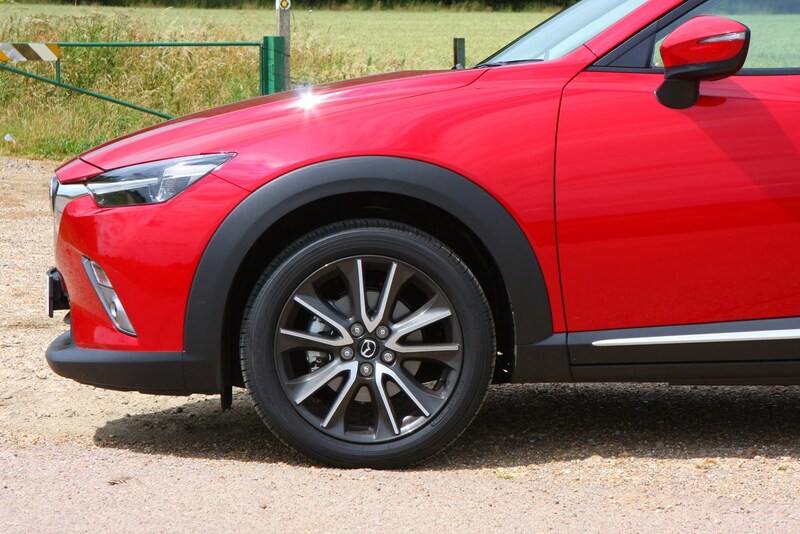 Equipment levels are generous with all CX-3 models getting alloy wheels, sat-nav, air conditioning, electric windows, DAB radio, Bluetooth, cruise control, keyless ignition and a 7.0-inch colour multimedia screen as standard. 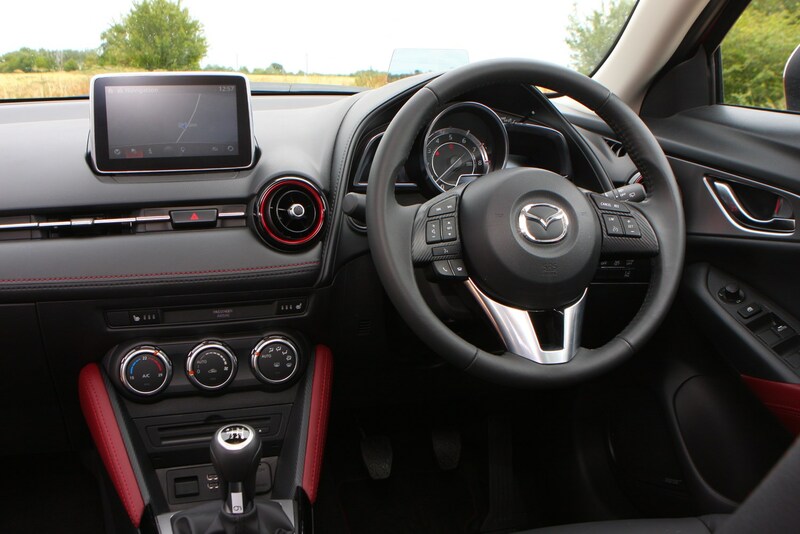 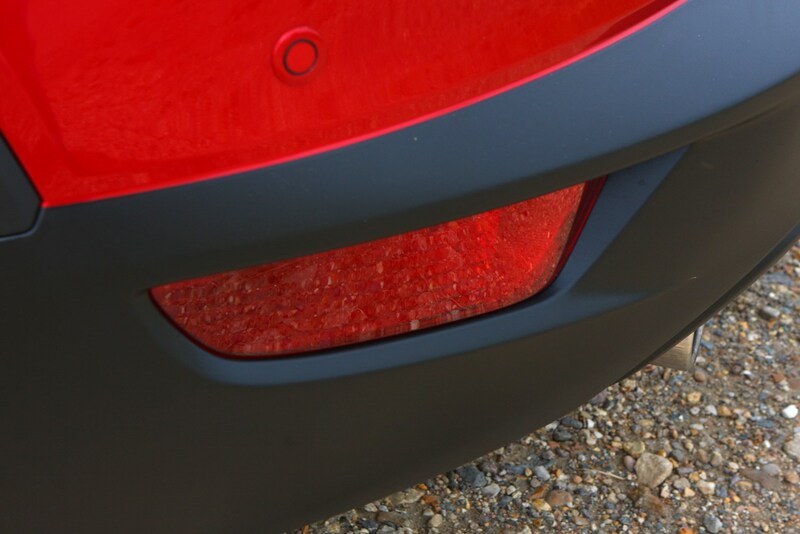 Choosing an SE-L Nav+ adds front fog lights, automatic lights and wipers, rear parking sensors, heated front seats, climate control, lane-departure warning system and darkened rear privacy glass. 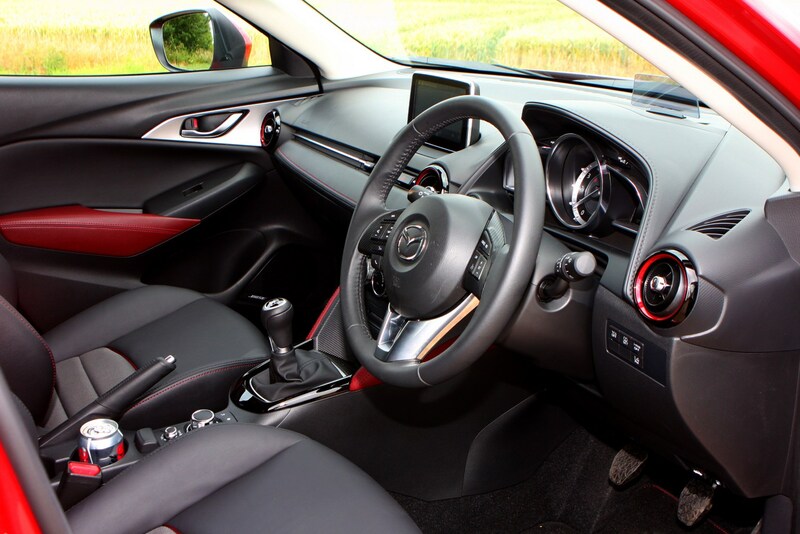 Sport Nav+ upgrades the 16-inch alloy wheels to 18-inchers, plus the interior is spruced up with half leatherette sports seats. 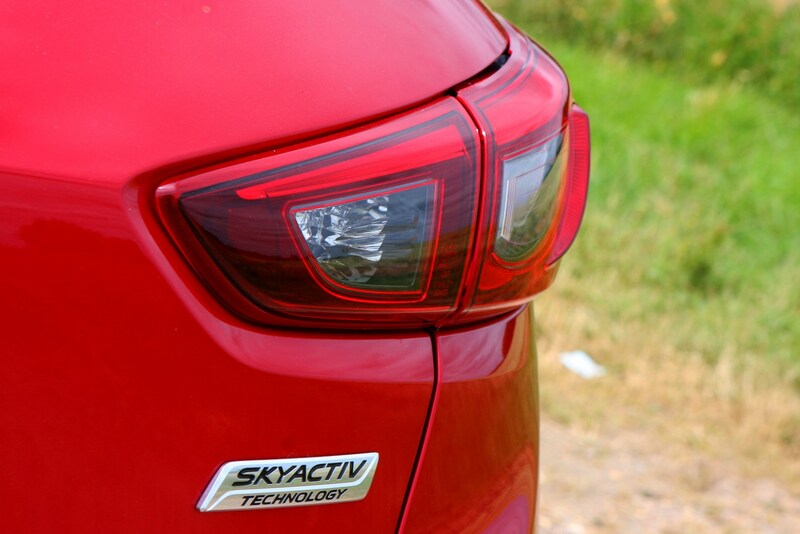 Adaptive LED headlights, a Bose stereo, front and rear sensors, reversing camera, keyless entry and a head-up display complete the picture. 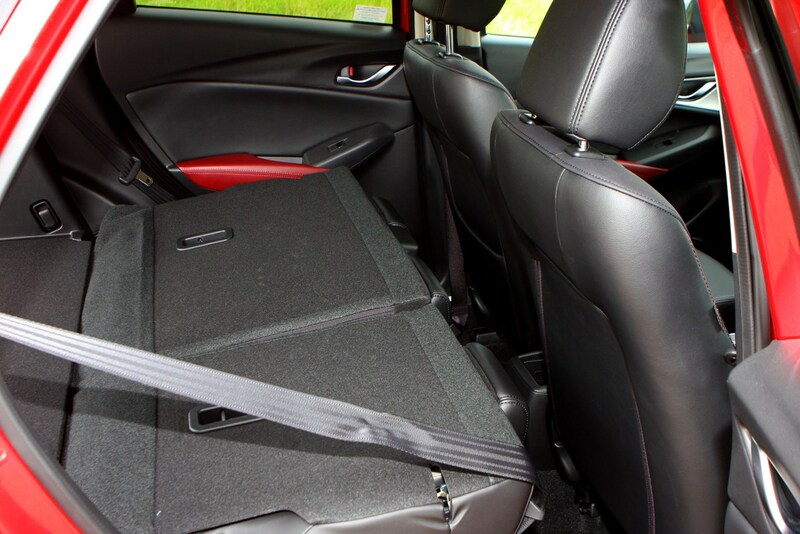 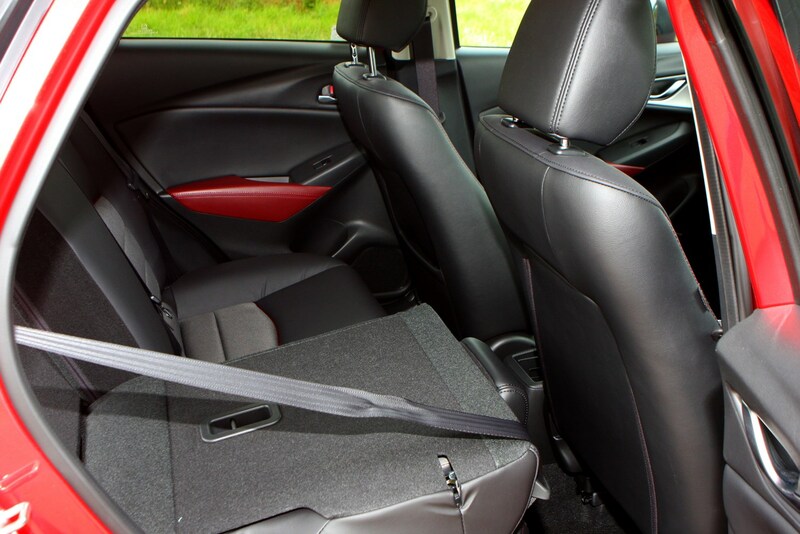 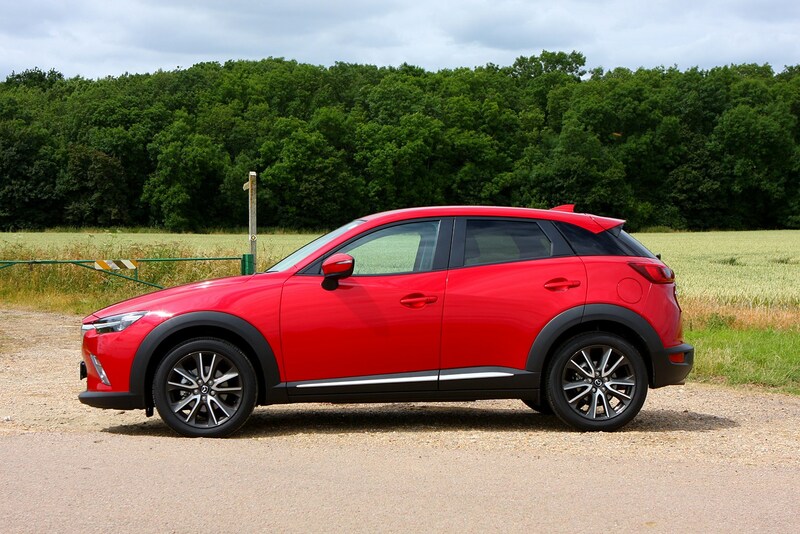 Prices do start higher than many of its competitors, but the CX-3 is well-equipped and a pleasure to drive with a robust cabin. 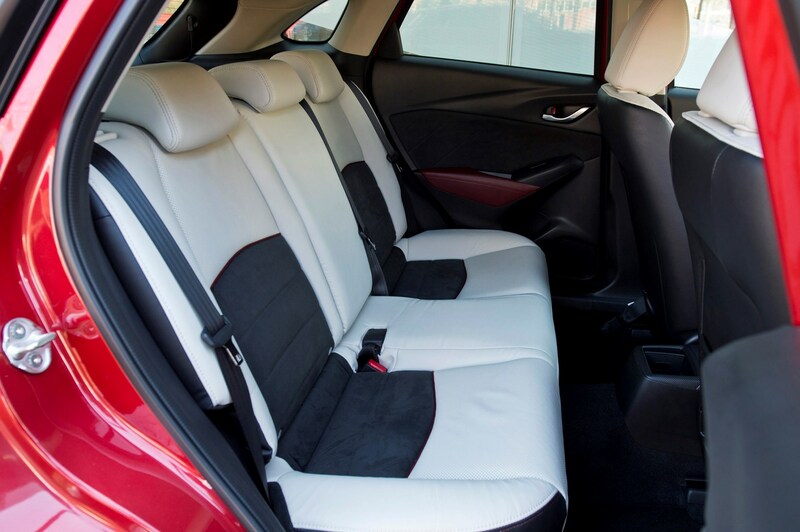 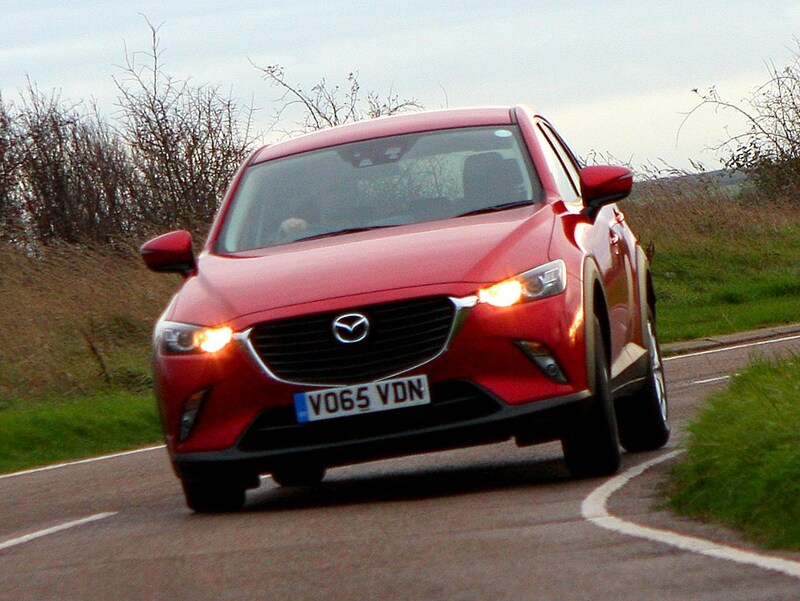 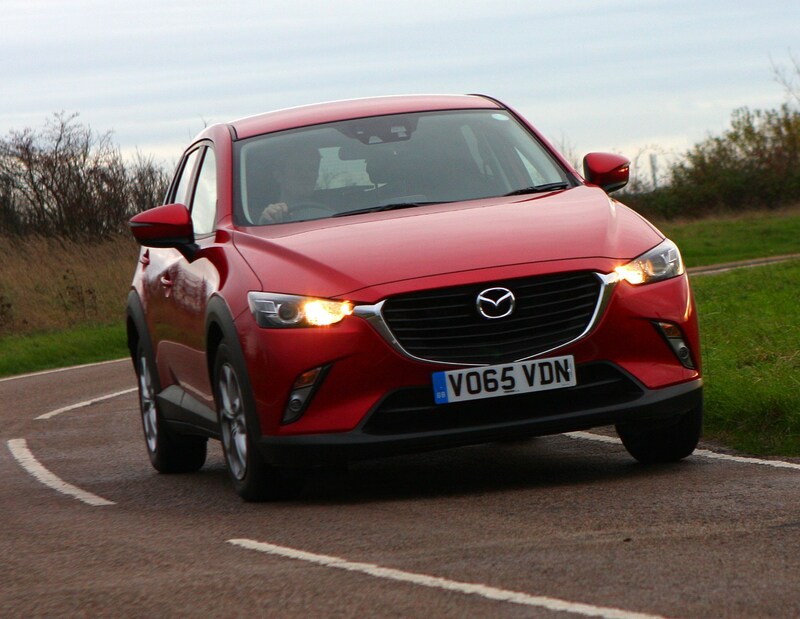 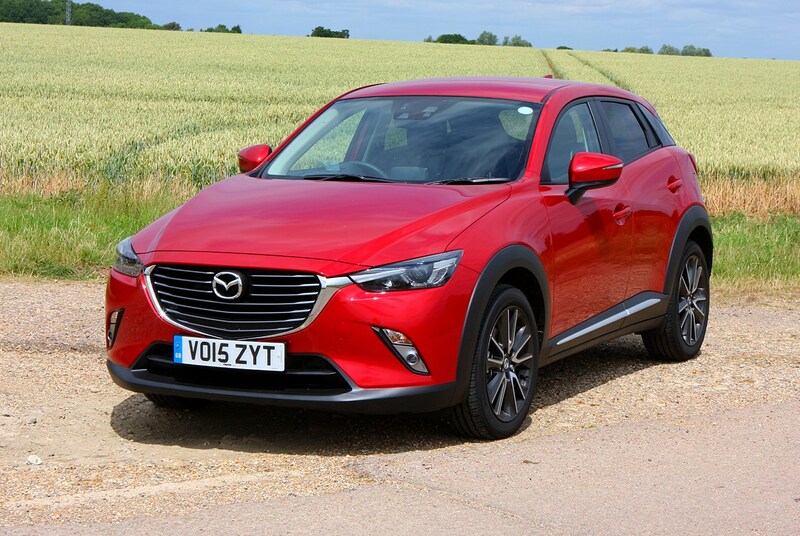 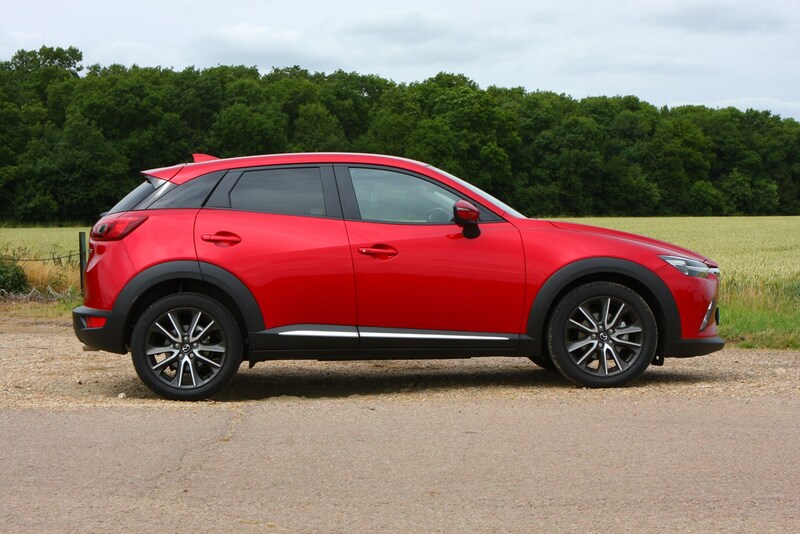 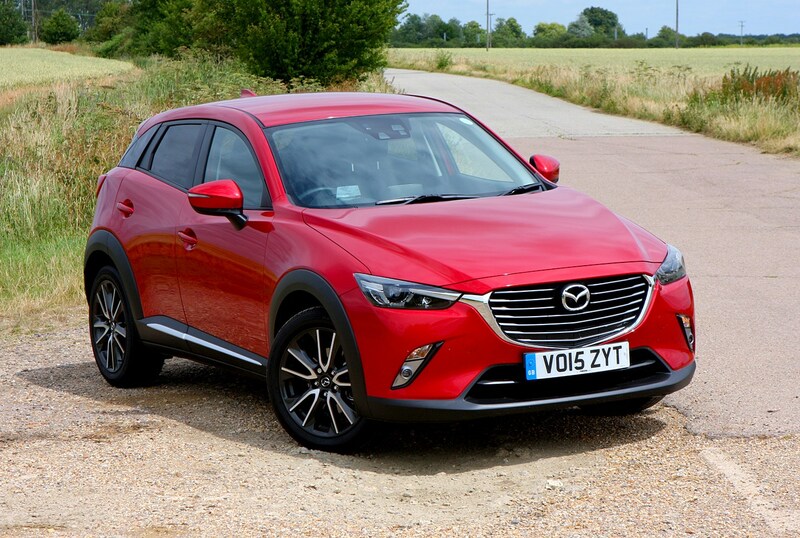 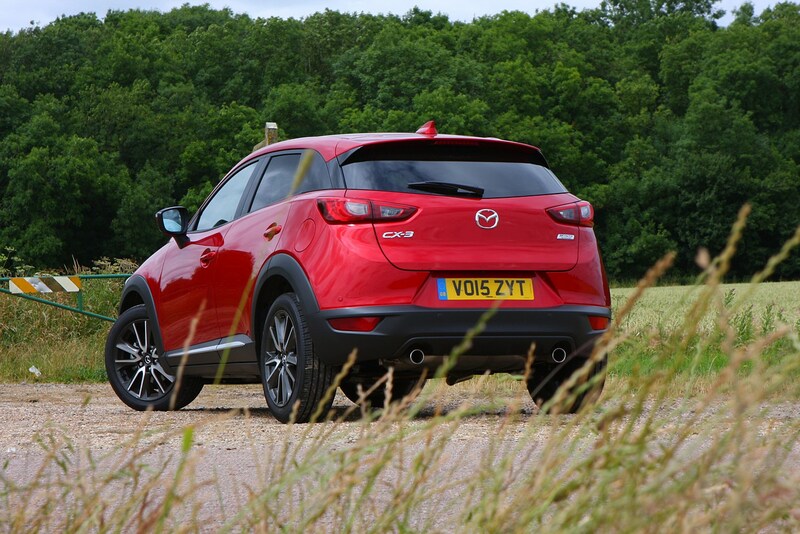 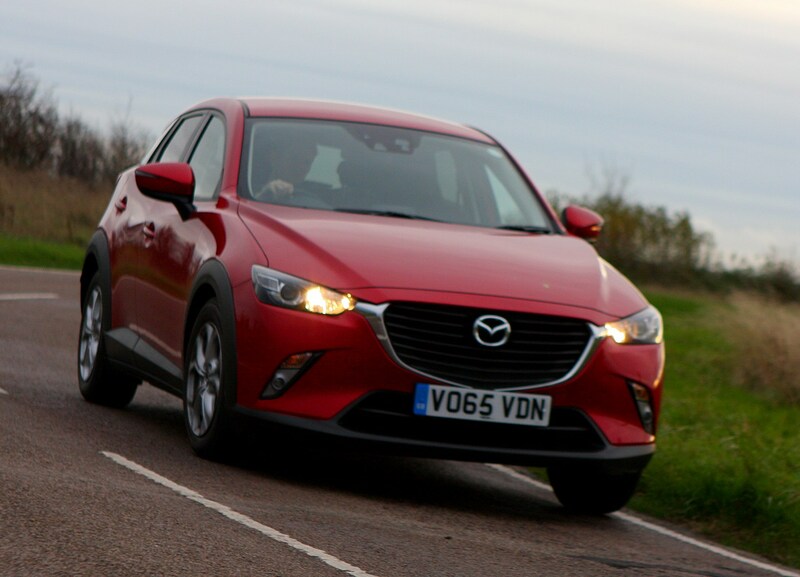 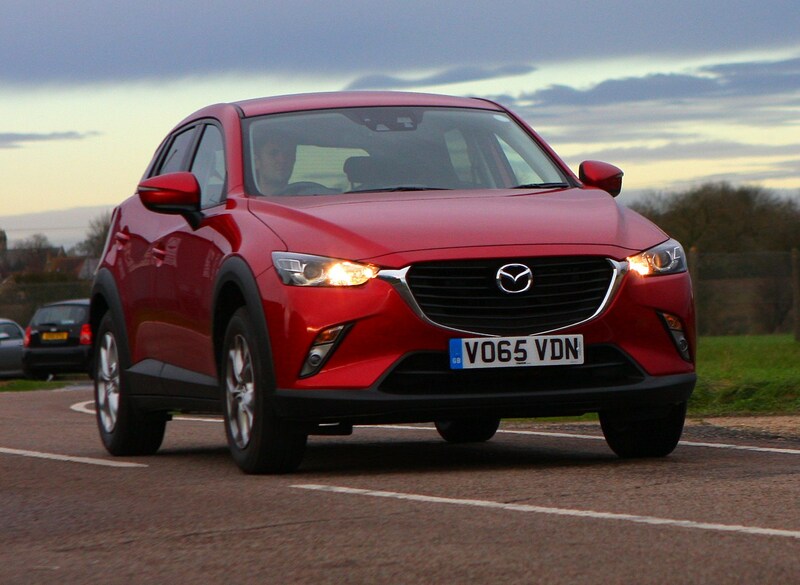 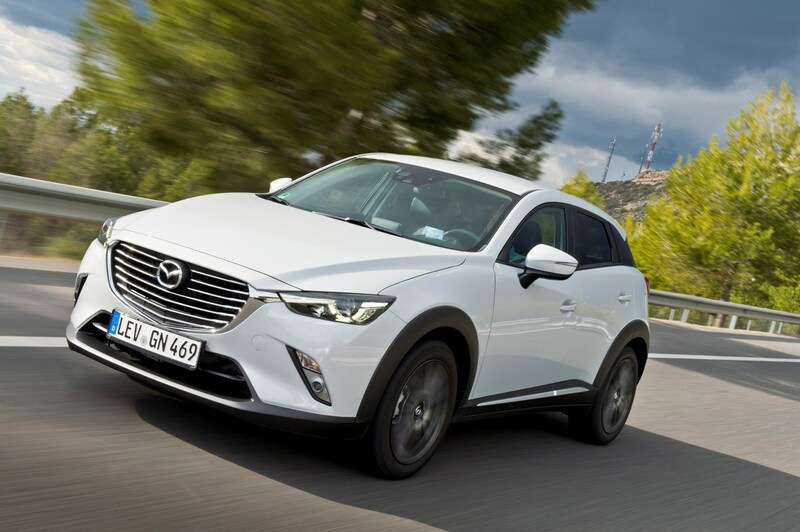 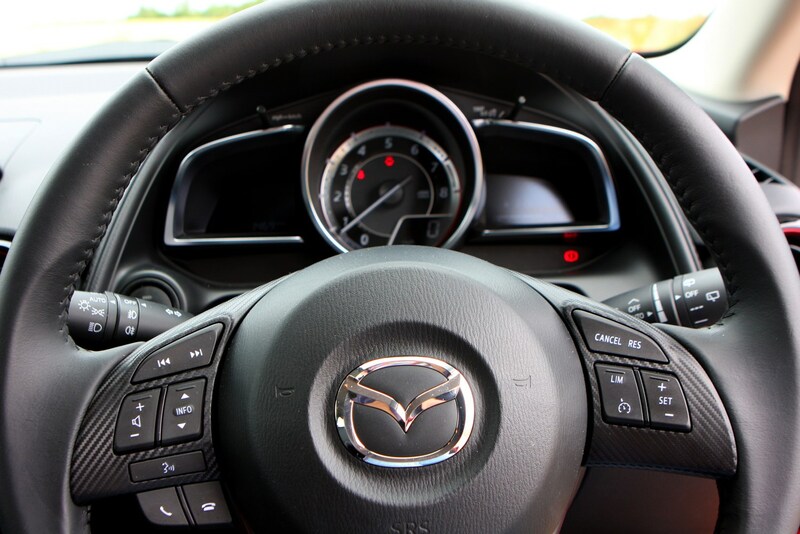 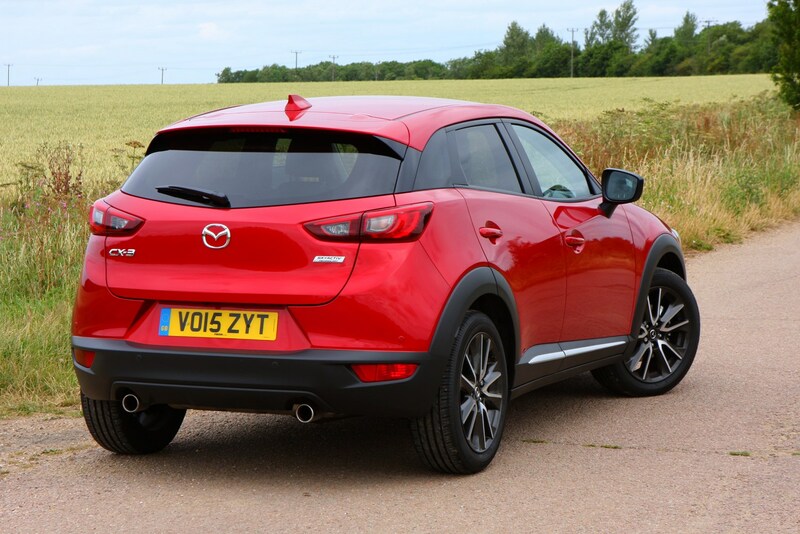 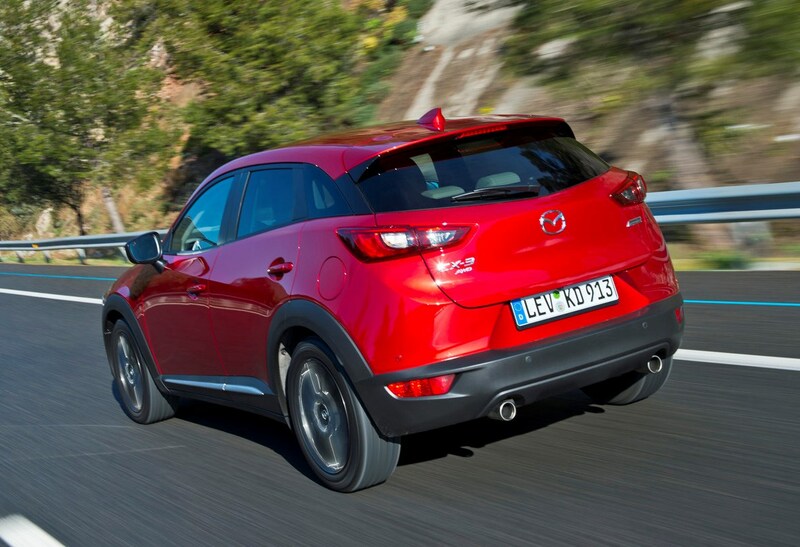 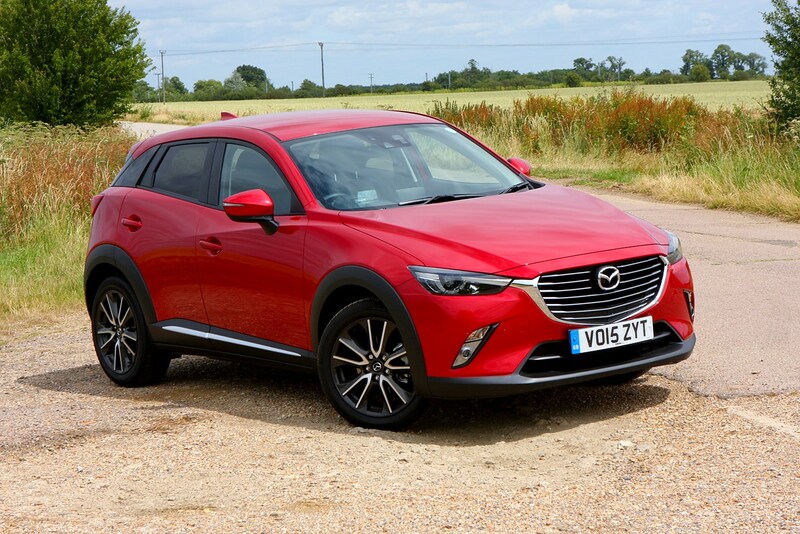 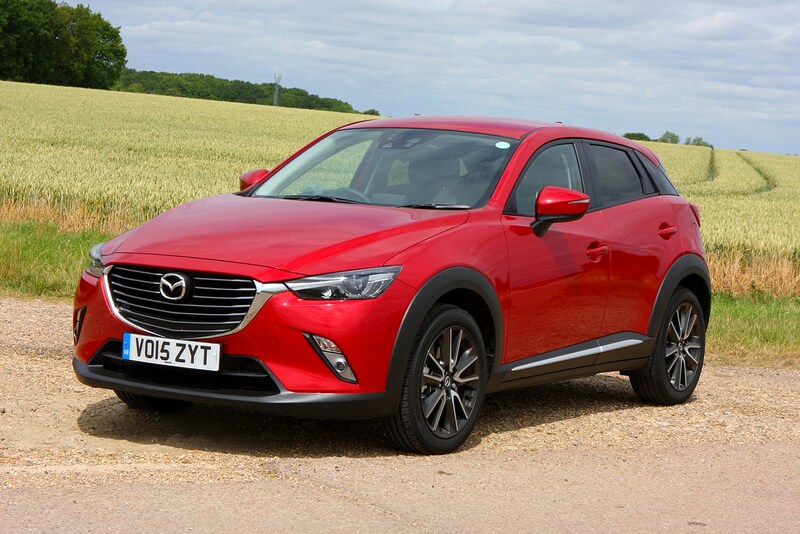 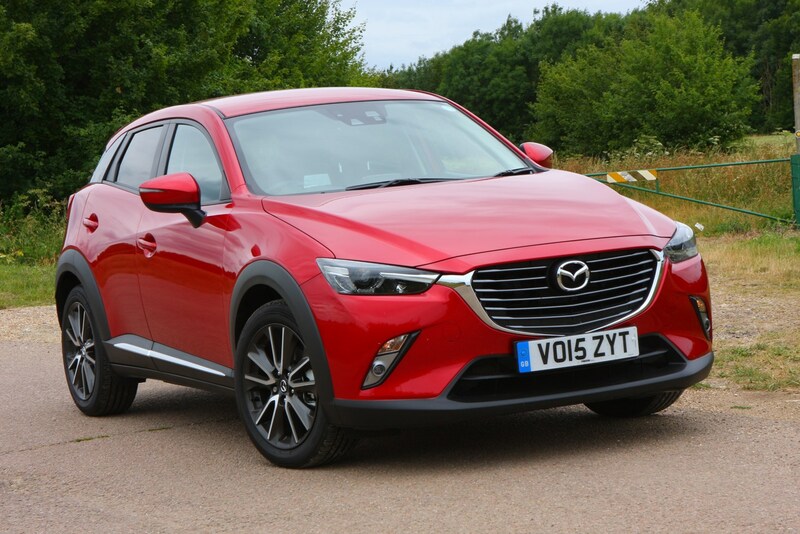 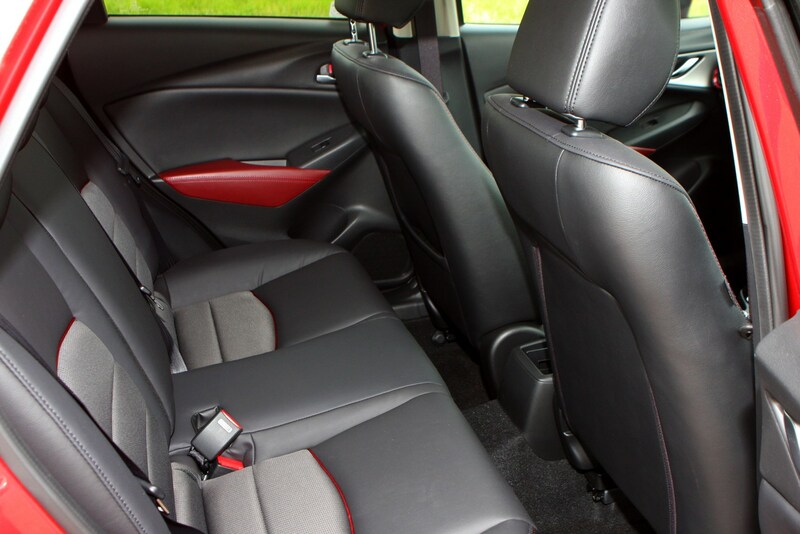 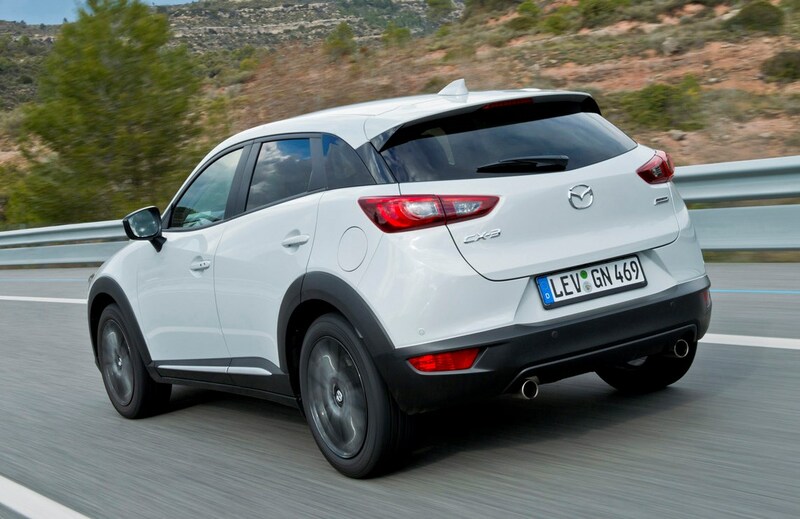 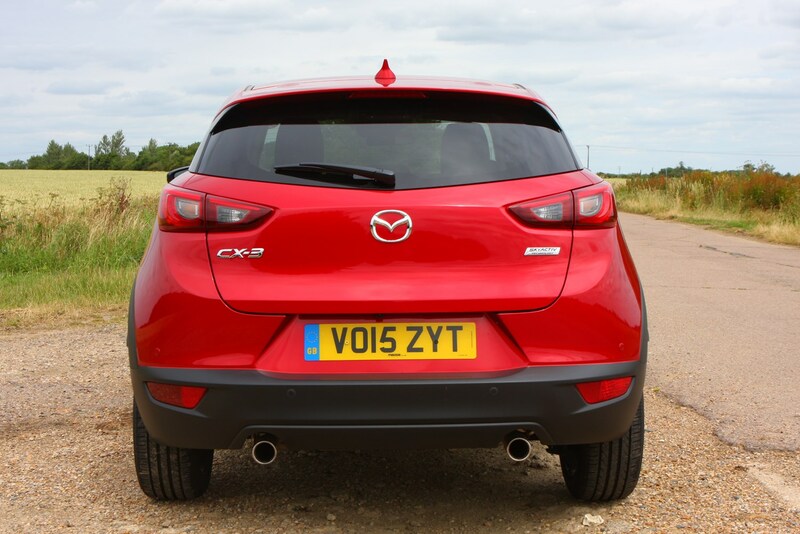 The Mazda CX-3 SUV was one of the later entries to the compact crossover class, but it’s a credible option with sharp styling, an interesting and well equipped interior, plus it’s one of the best to drive. 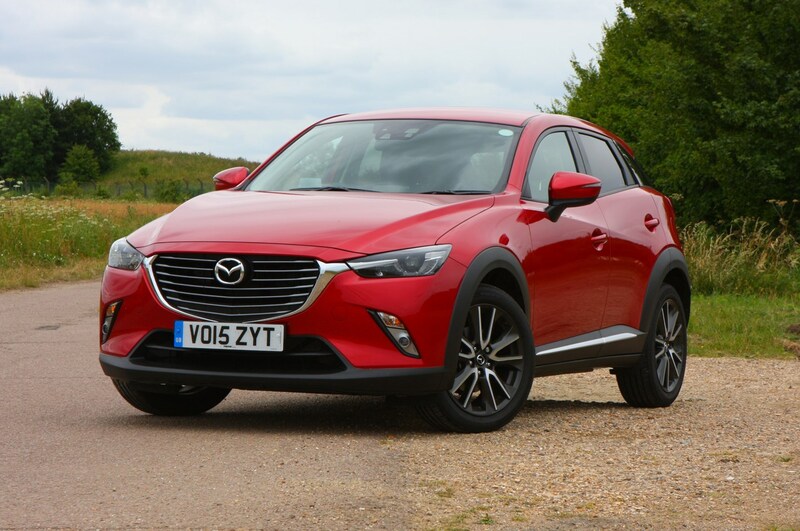 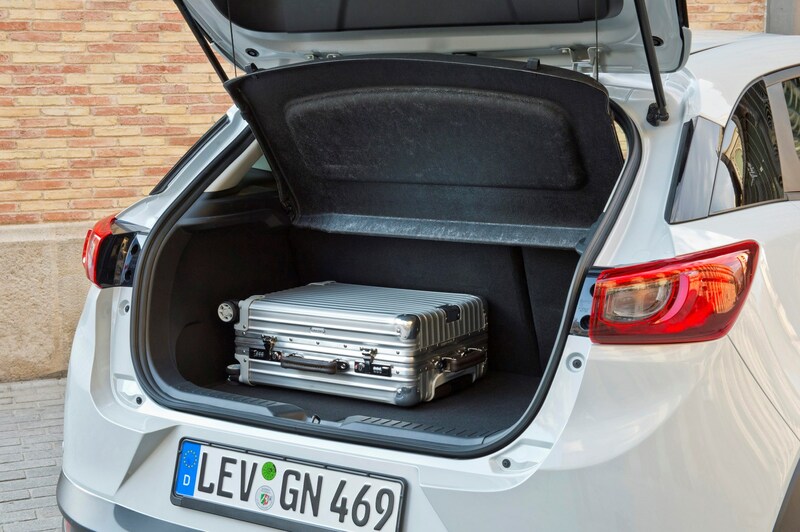 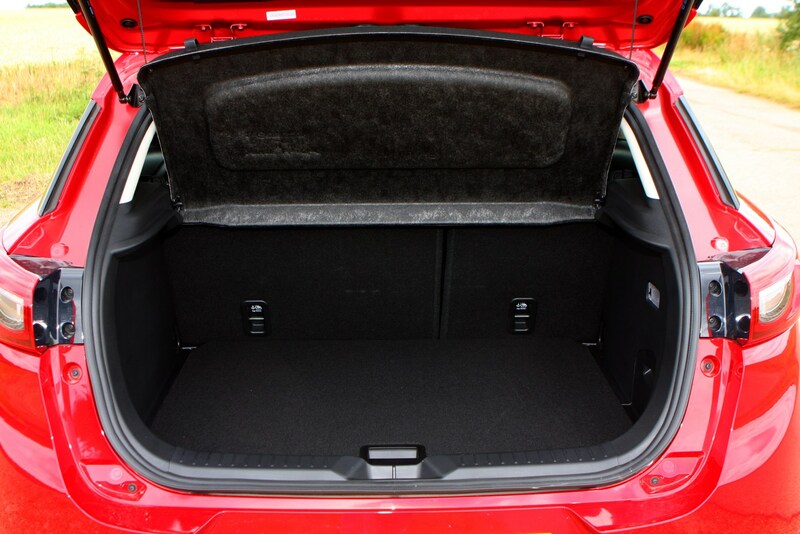 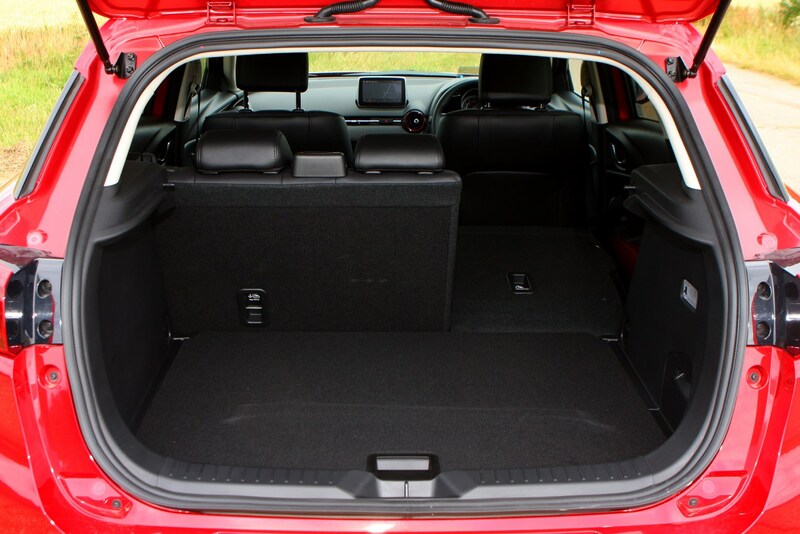 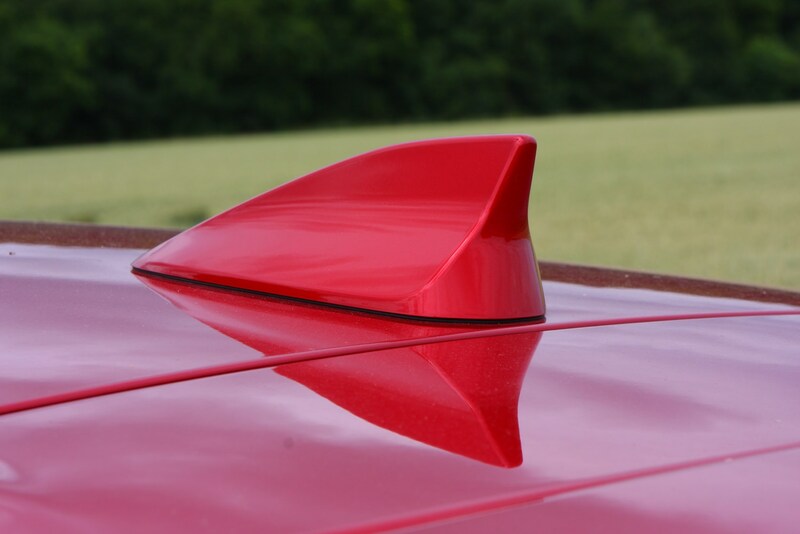 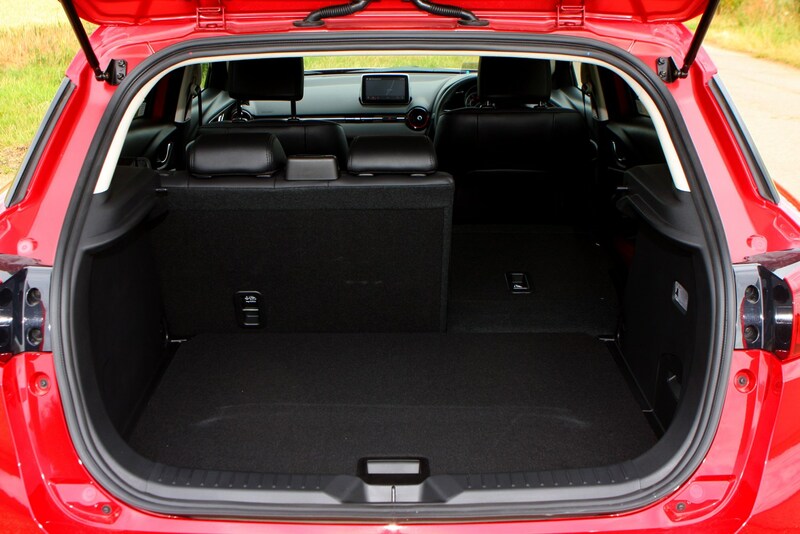 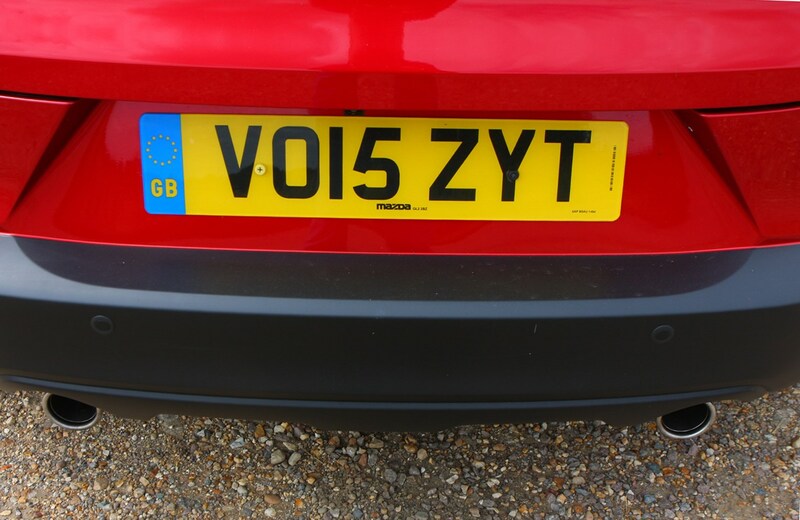 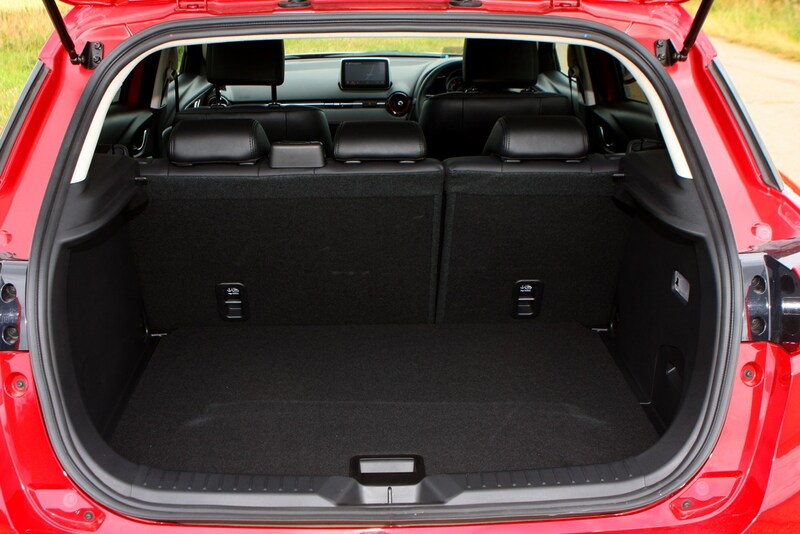 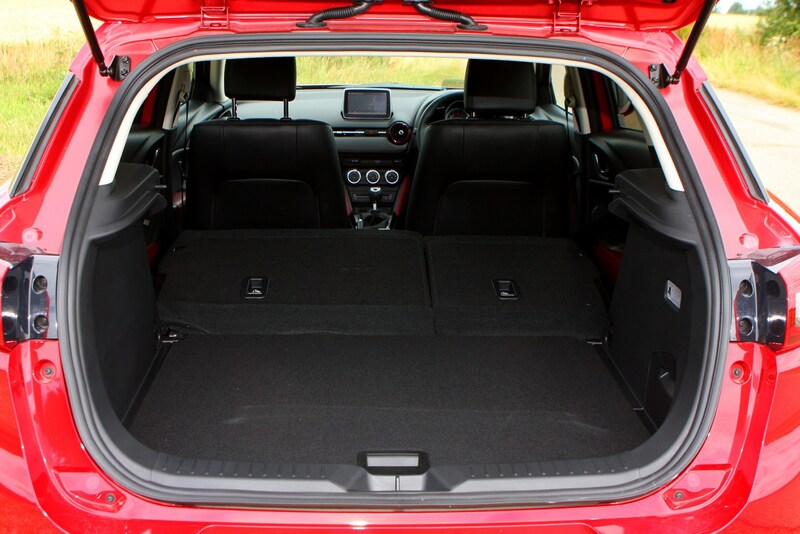 It’s by no means the most practical, nor the cheapest, but it should be on your list as it’ll satisfy most customers’ needs without fuss, and there are plenty of engine, gearbox and trim options to pick from.